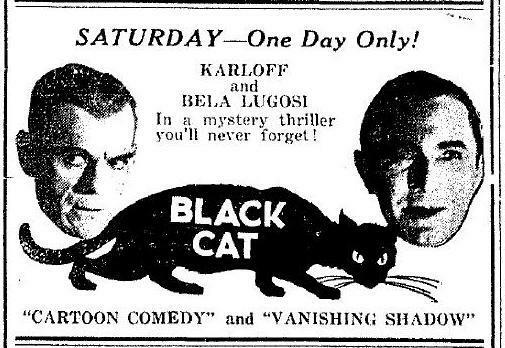 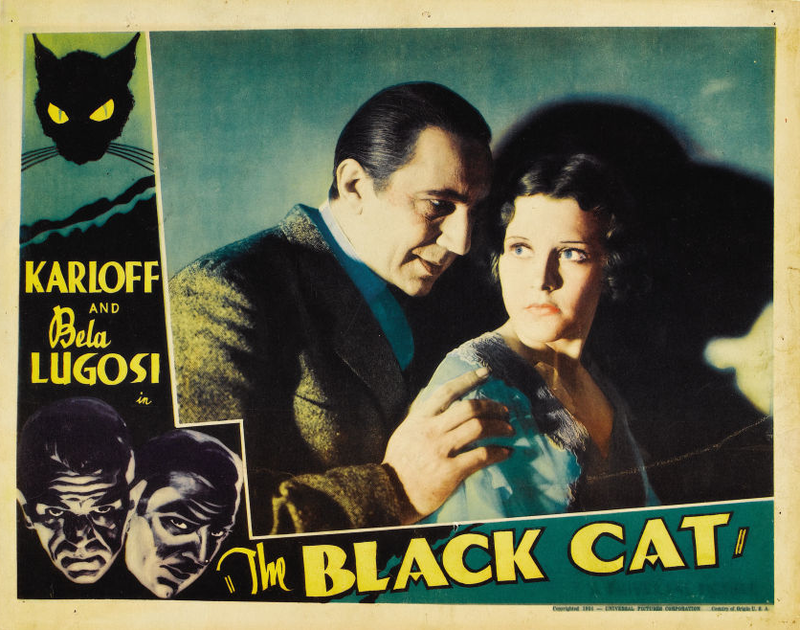 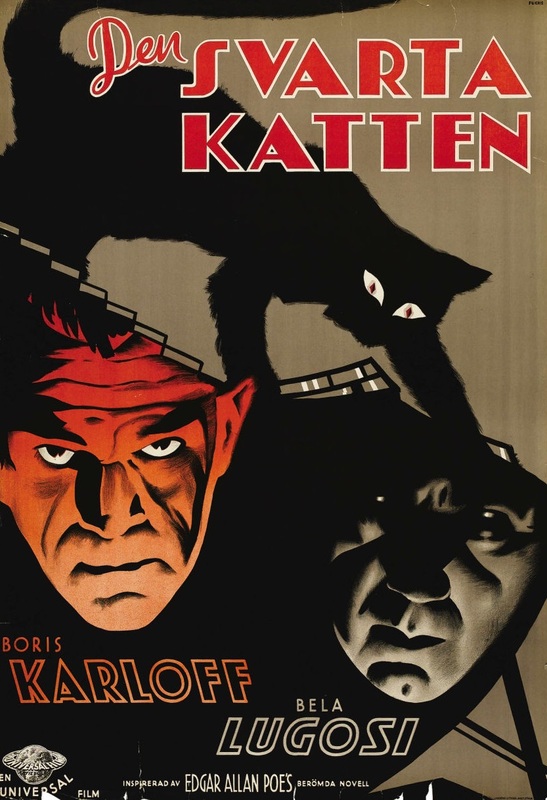 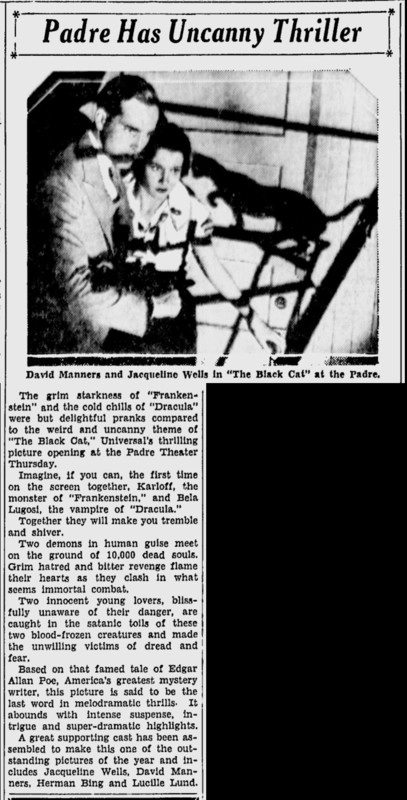 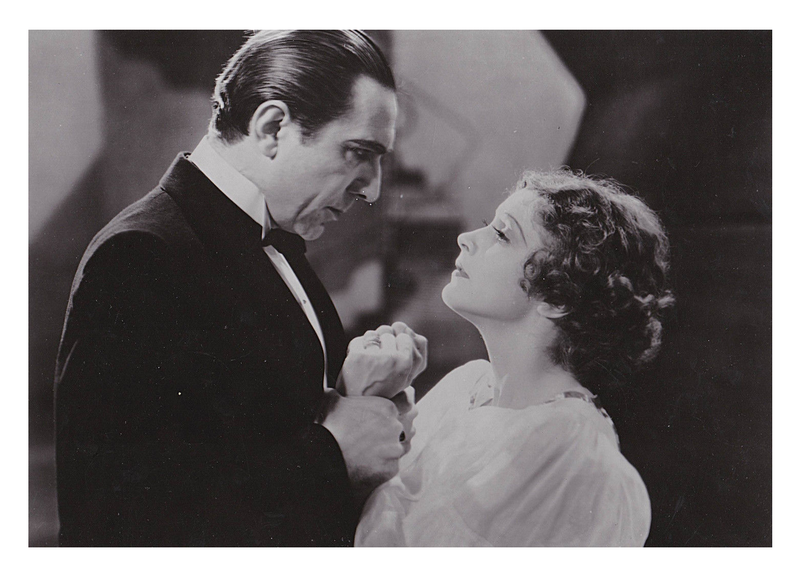 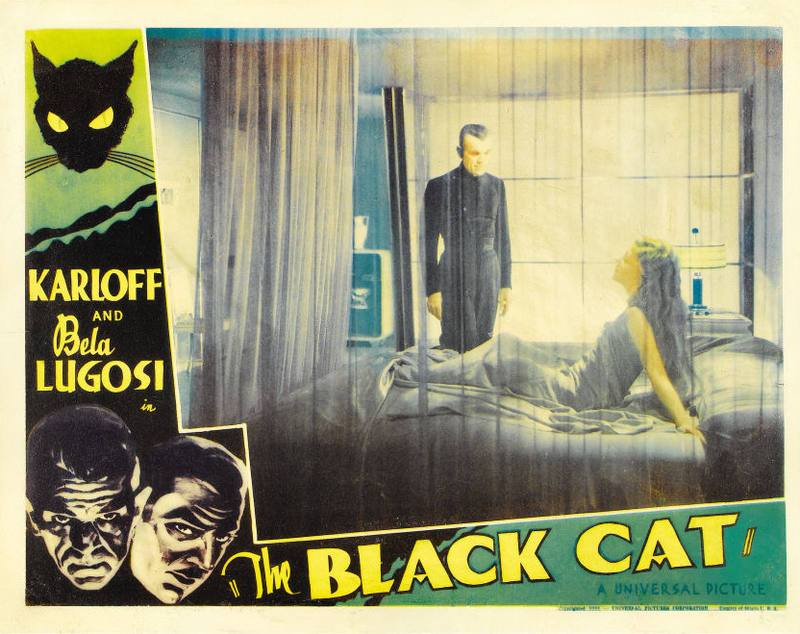 Also known as The House of Doom and The Vanishing Body, The Black Cat was Universal’s first star pairing of Bela Lugosi and Boris Karloff. 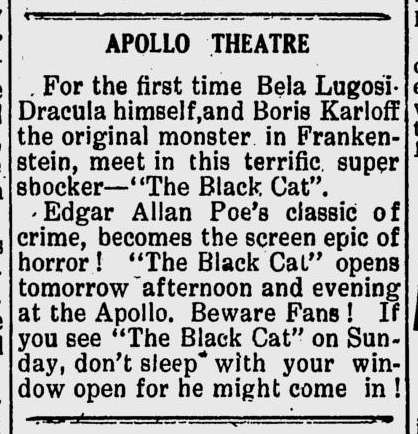 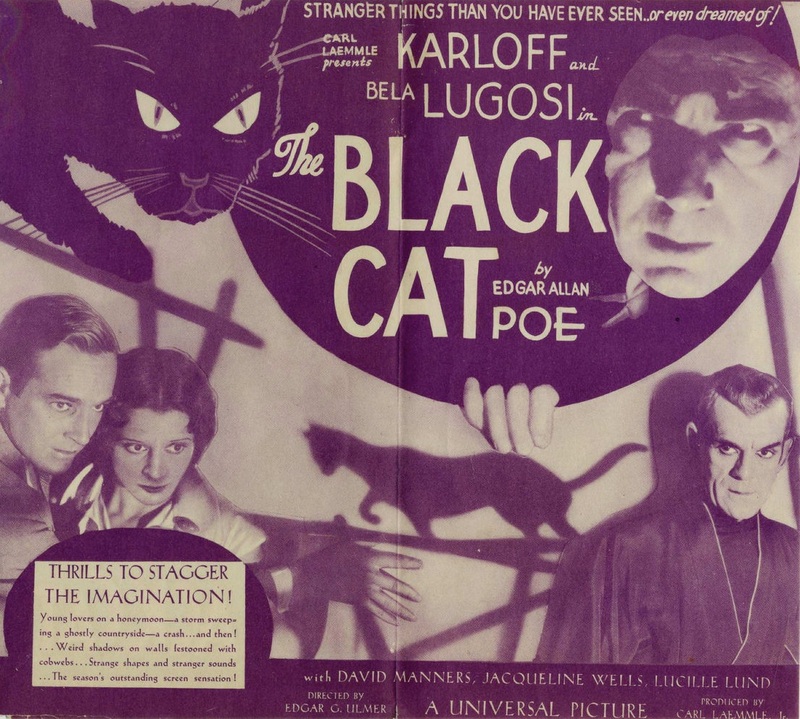 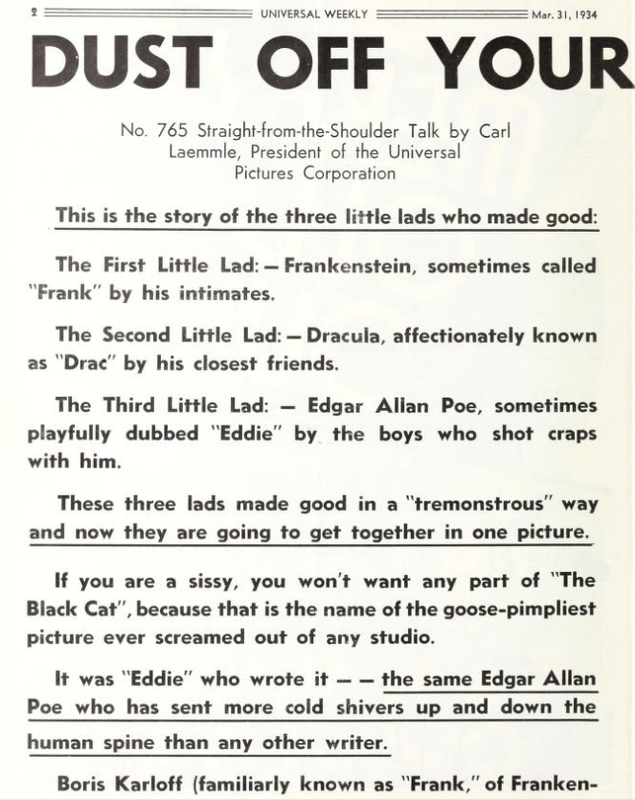 Like the studio’s other Poe-inspired films, The Black Cat had little in connection with Edgar Allan Poe beyond the title. 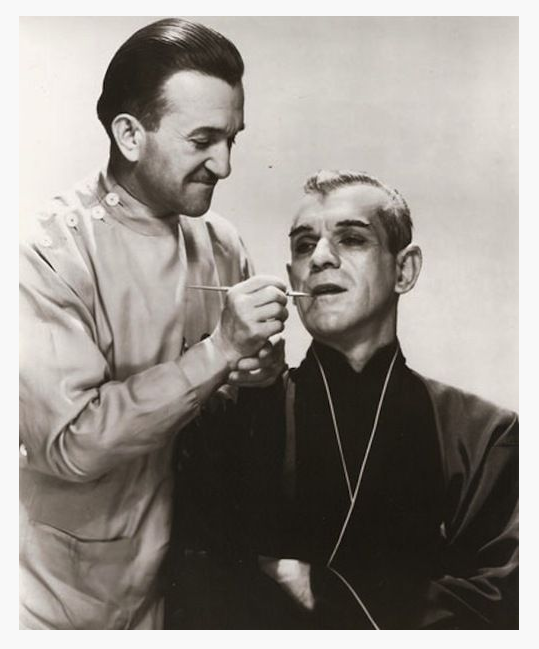 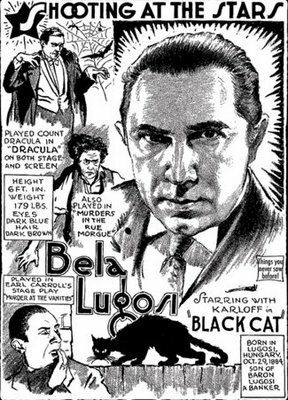 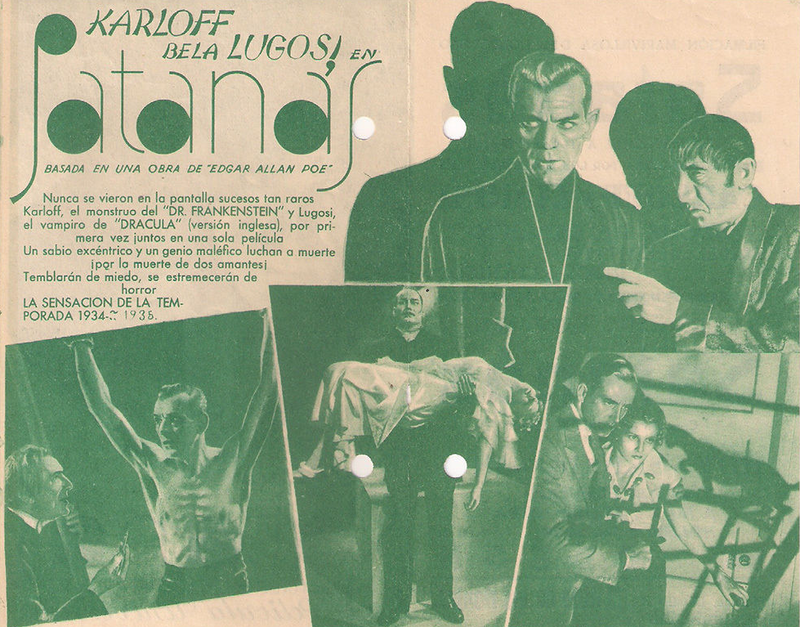 The story featured Lugosi as Dr. Vitus Werdegast, a psychiatrist who spent fifteen years as a prisoner of war in an infamous Russian prison. 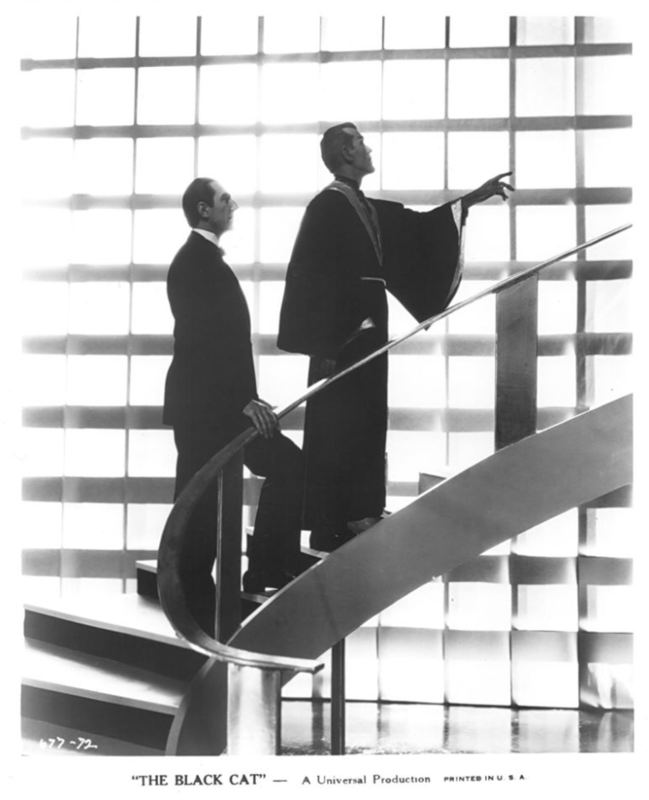 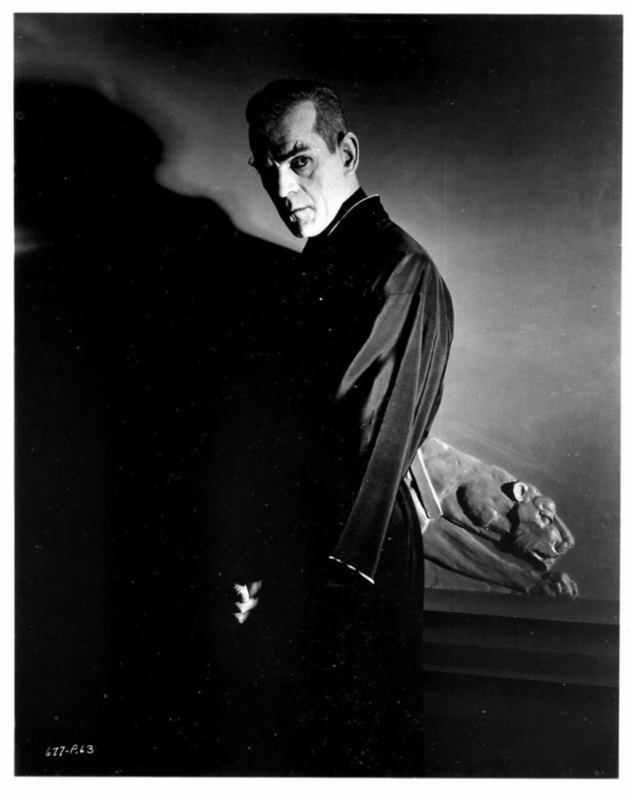 In his absence, his old friend, architect Hjalmar Poelzig (Karloff), stole his wife and then married his daughter after her death. 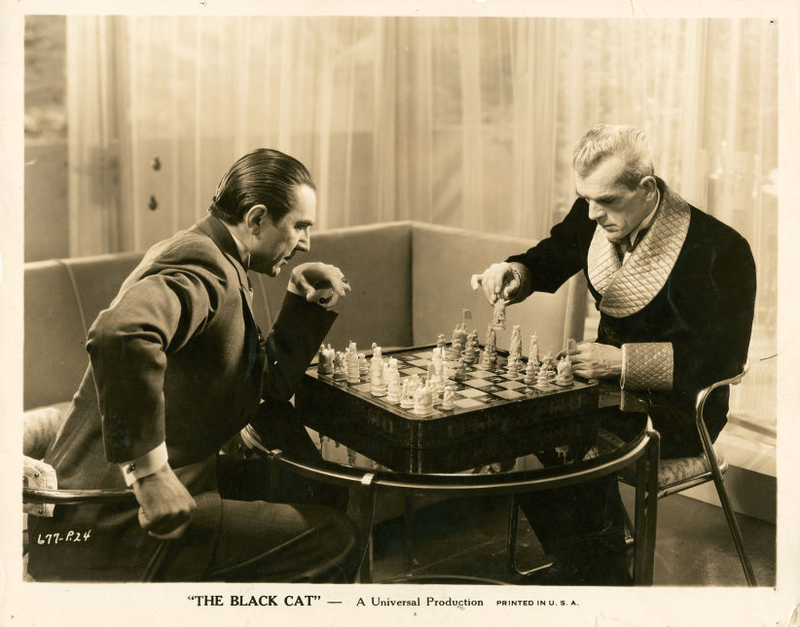 A battle of wits culminates in Werdegast skinning Poelzig alive. 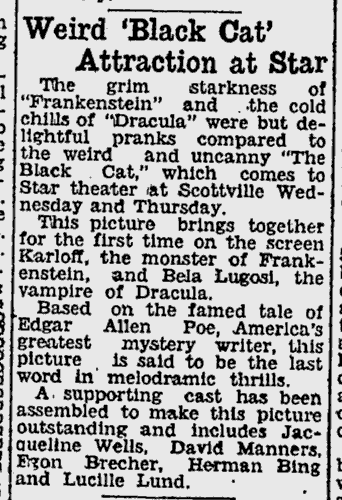 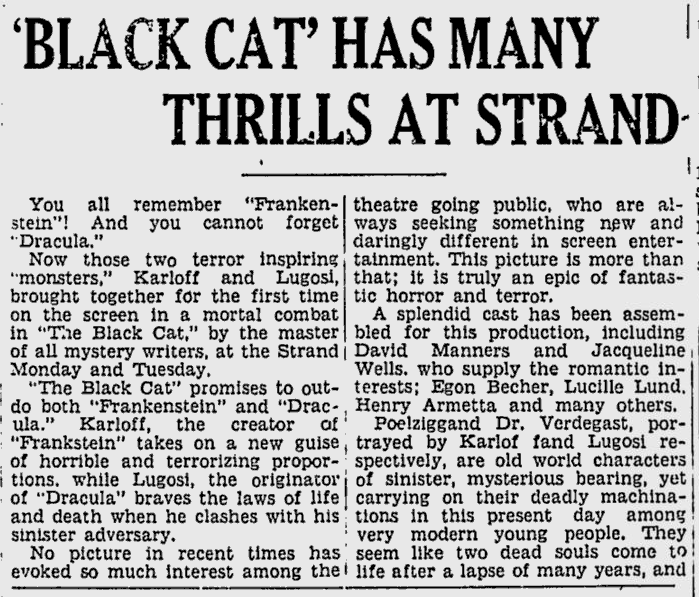 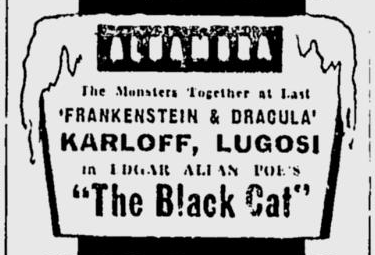 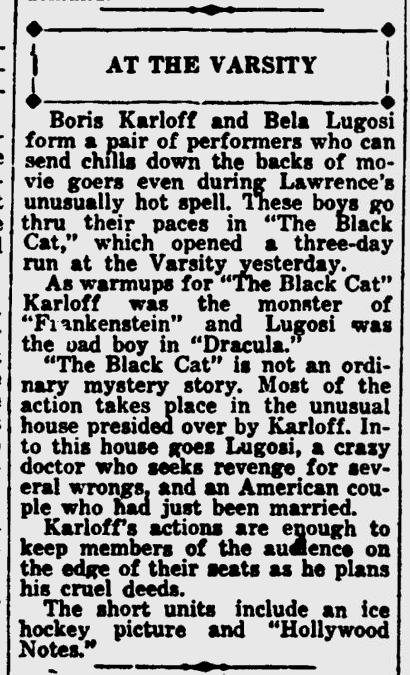 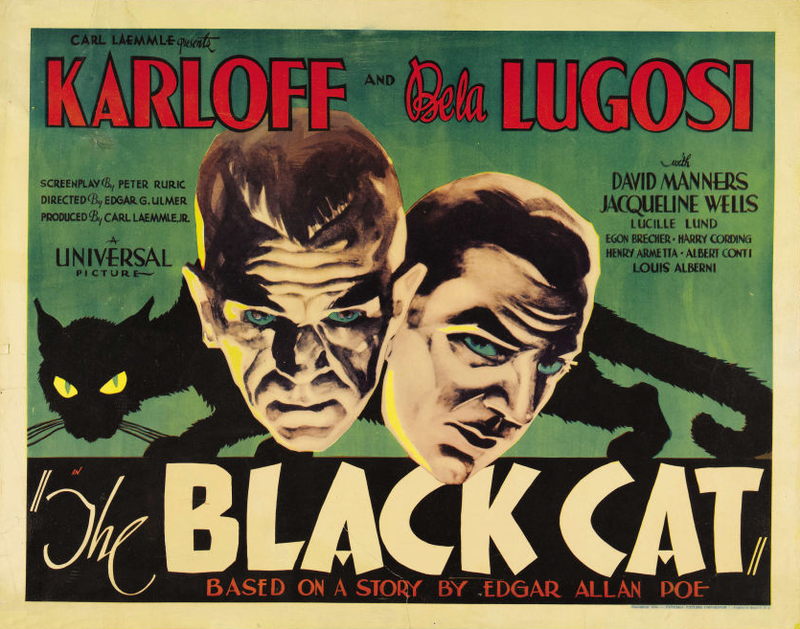 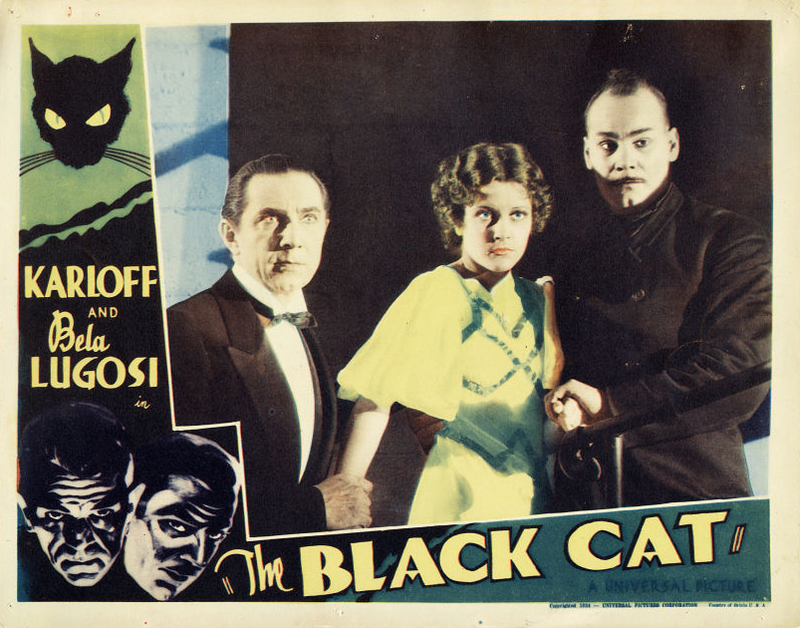 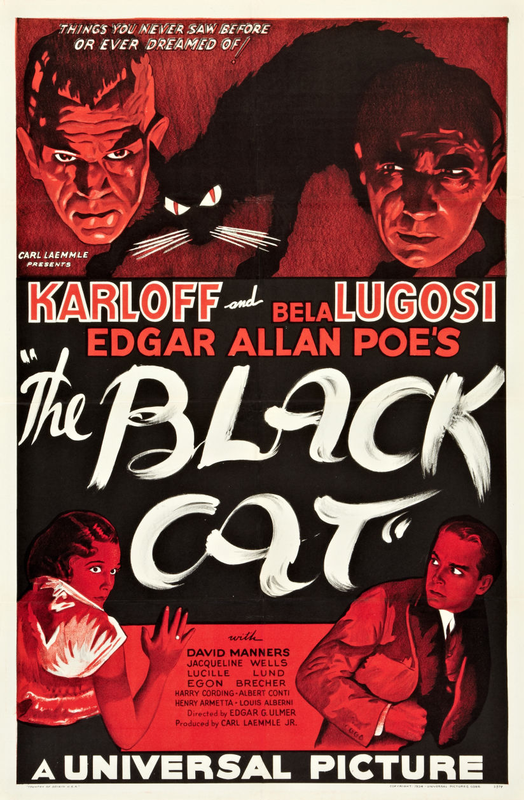 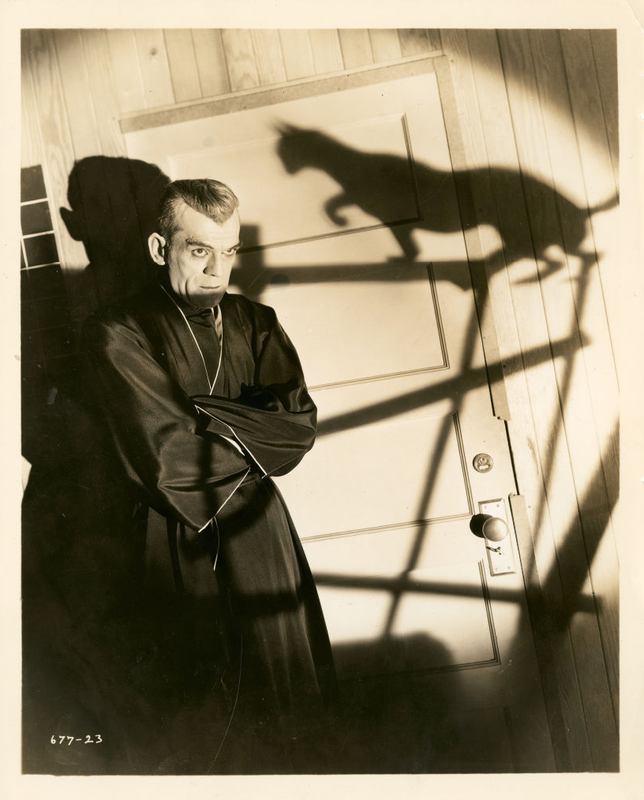 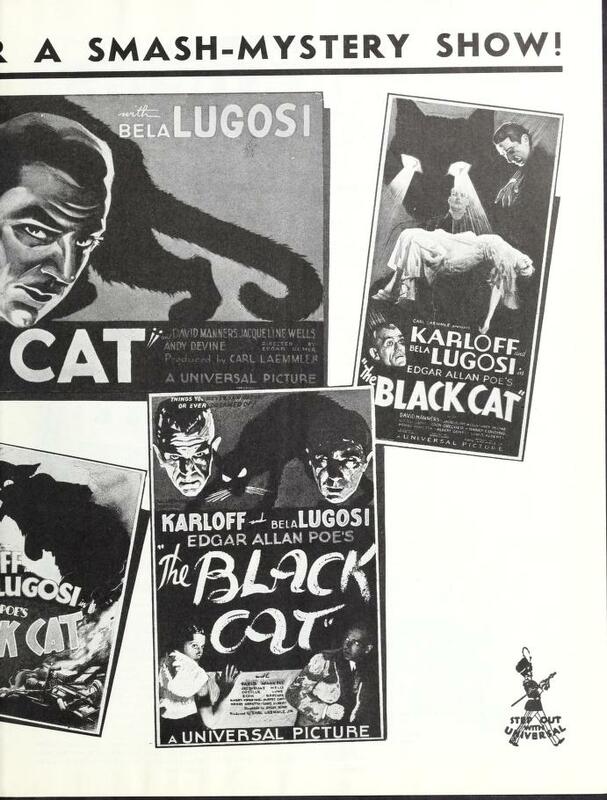 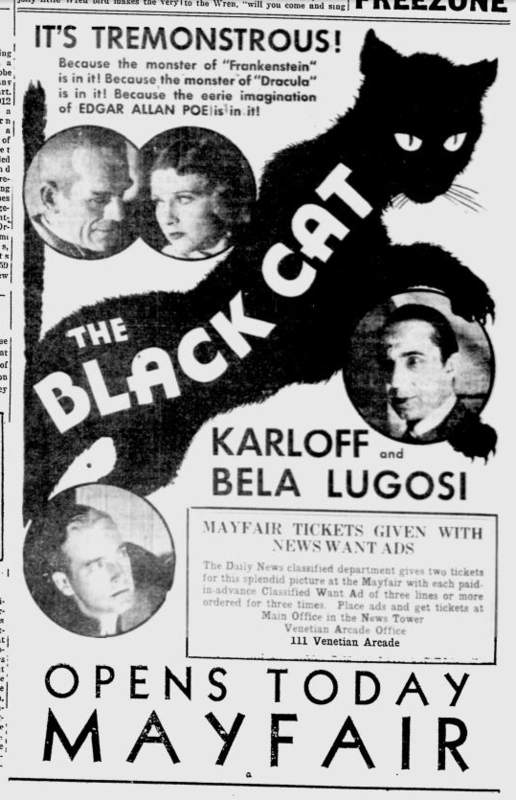 Mr. Jiggs, the black cat featured in the film was the winner of a competition judged by Lugosi and Karloff. 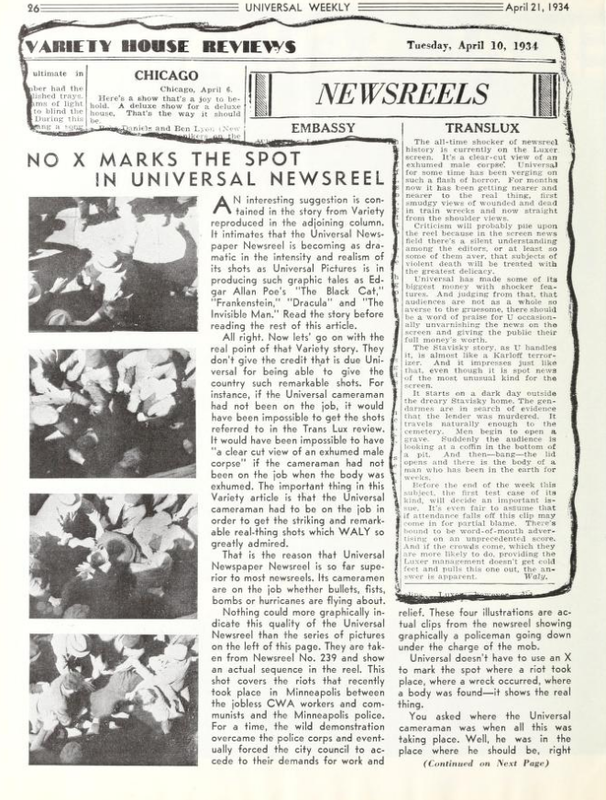 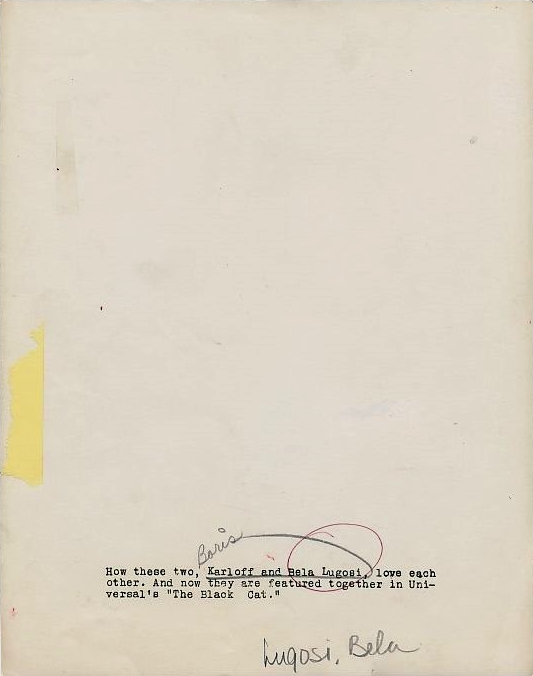 The event was featured in a Universal newsreel. 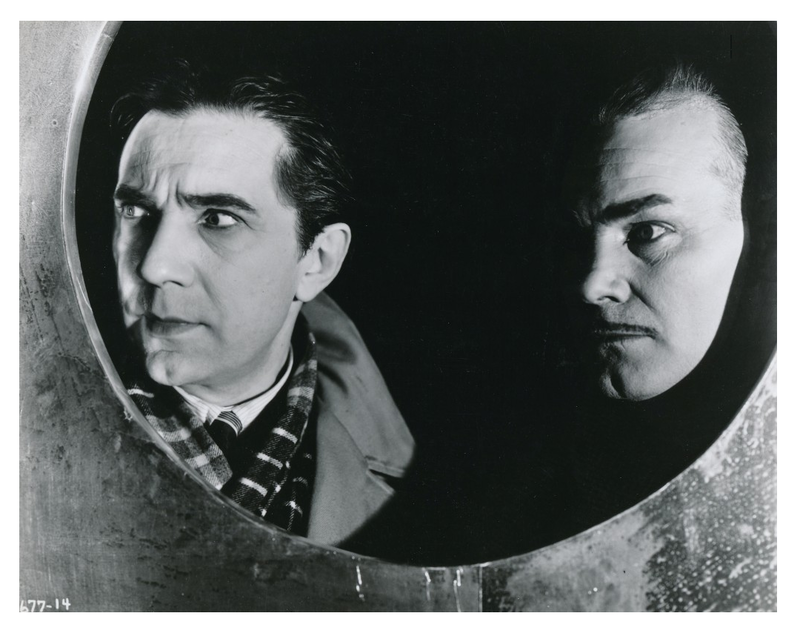 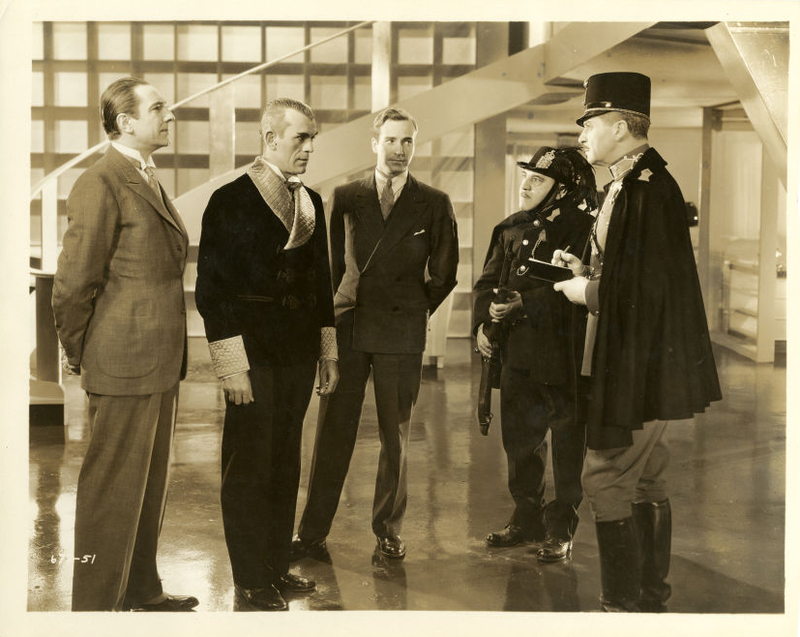 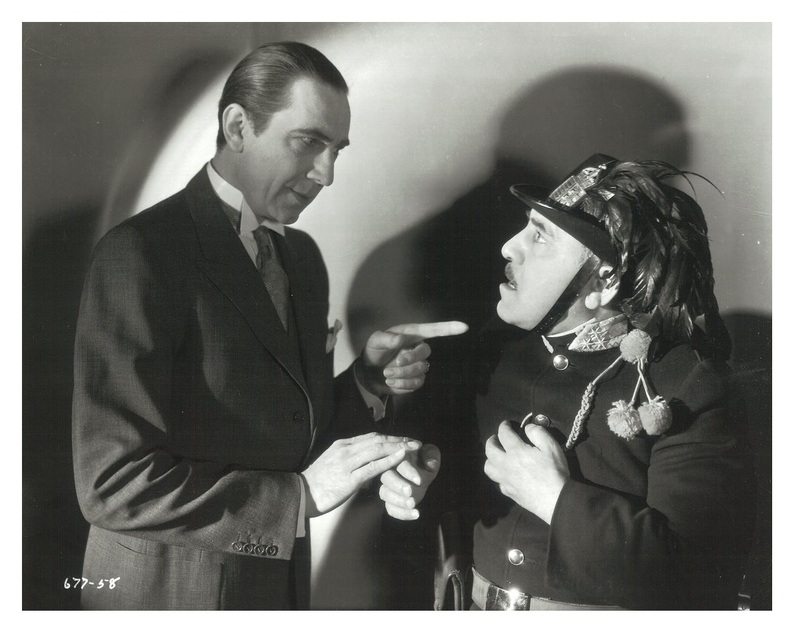 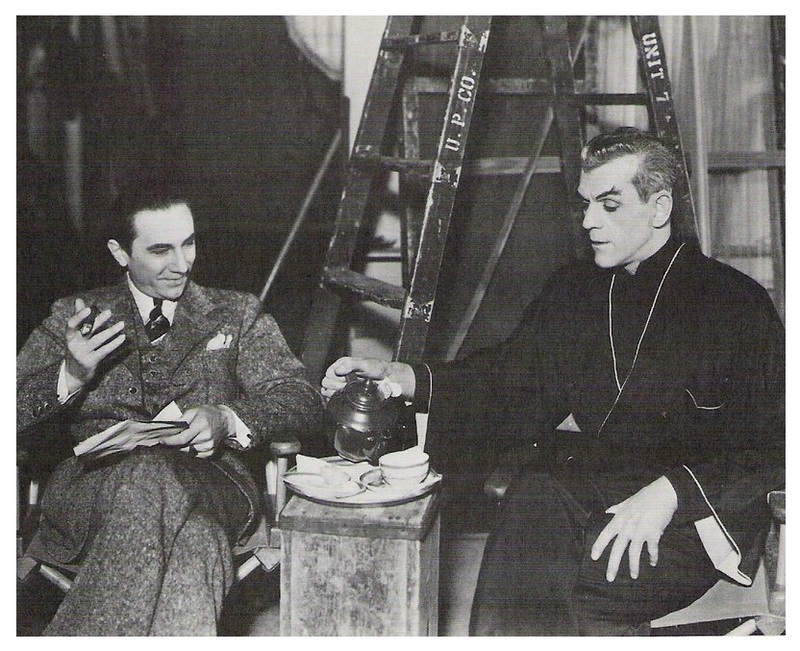 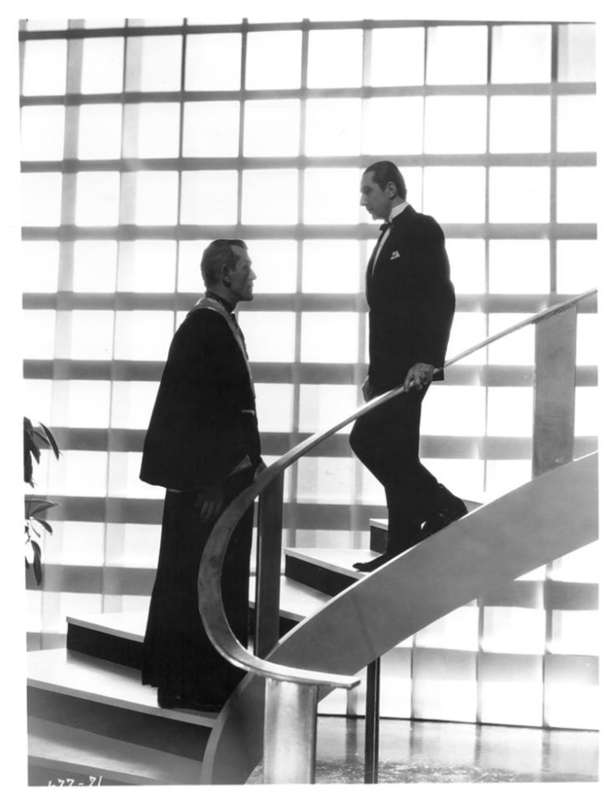 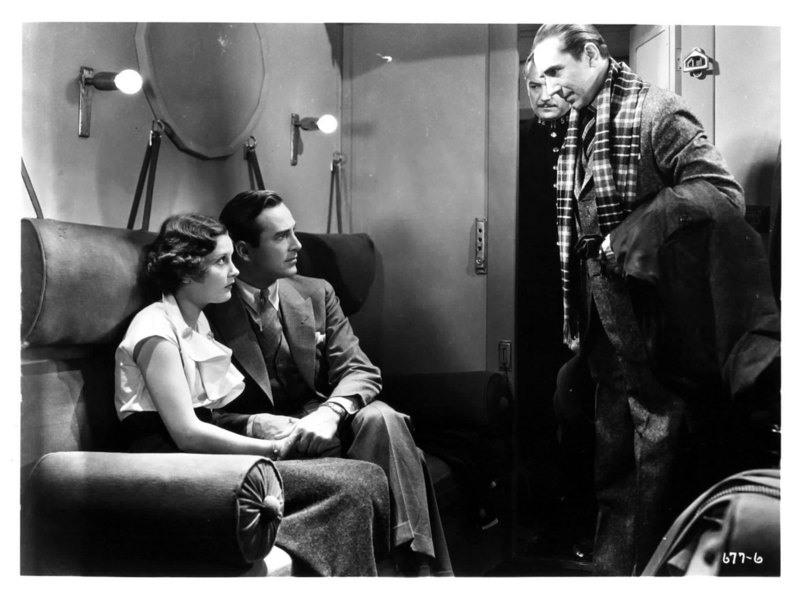 Mr. Jiggs also featured in Universal’s Gift of Gab with Lugosi and Karloff in cameo roles. 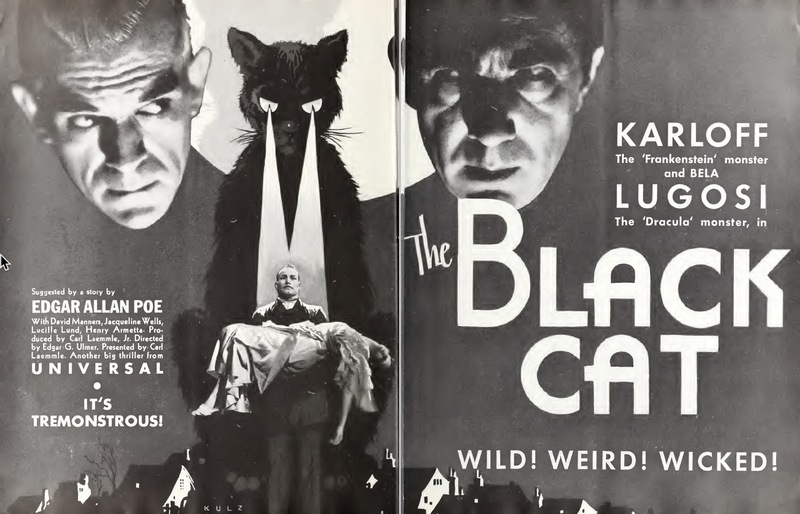 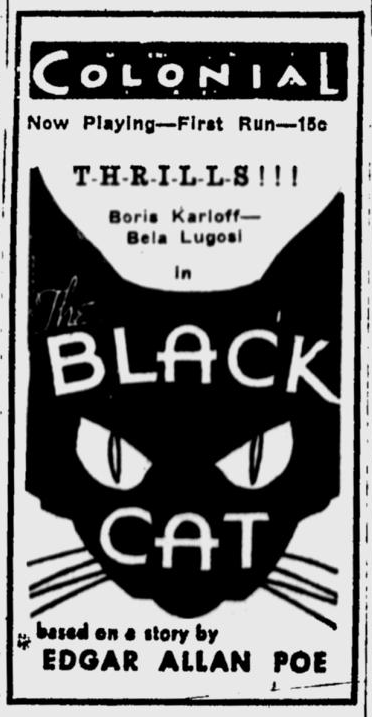 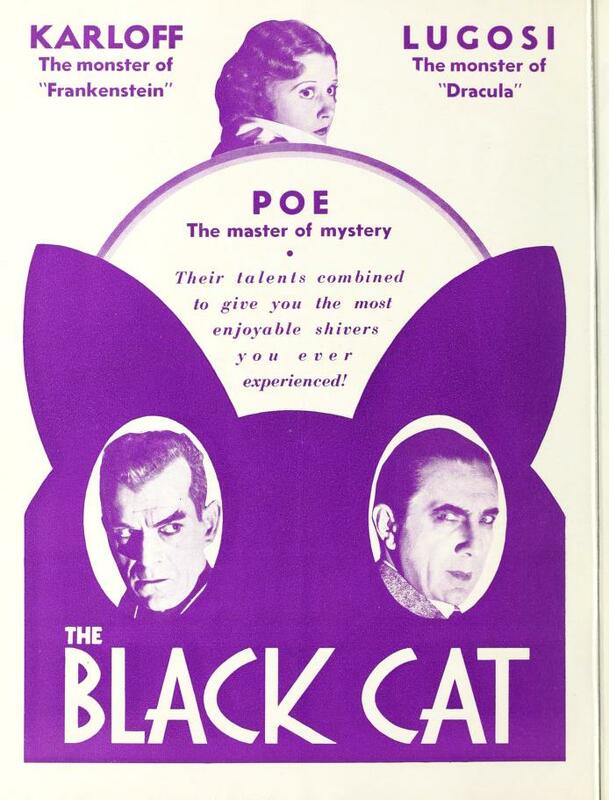 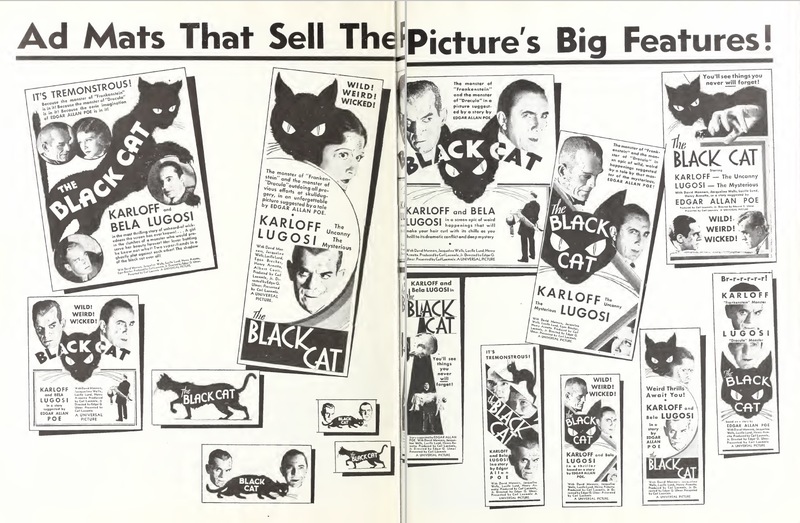 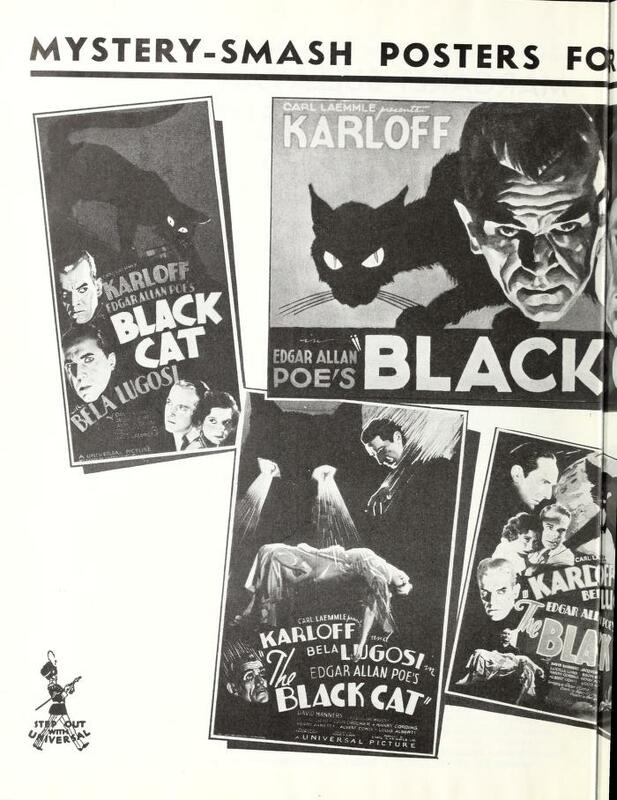 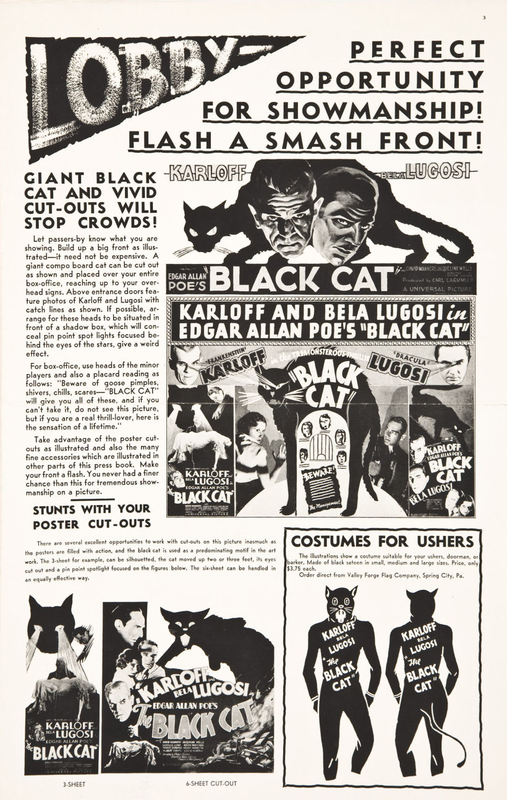 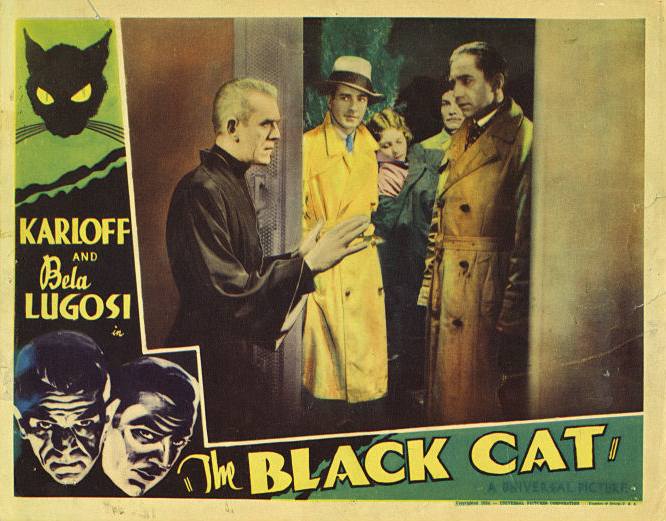 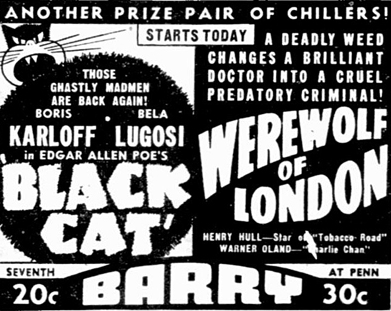 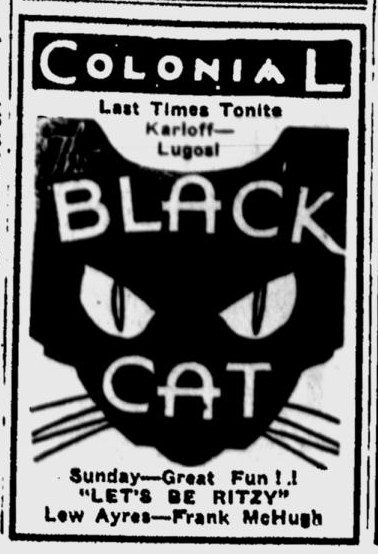 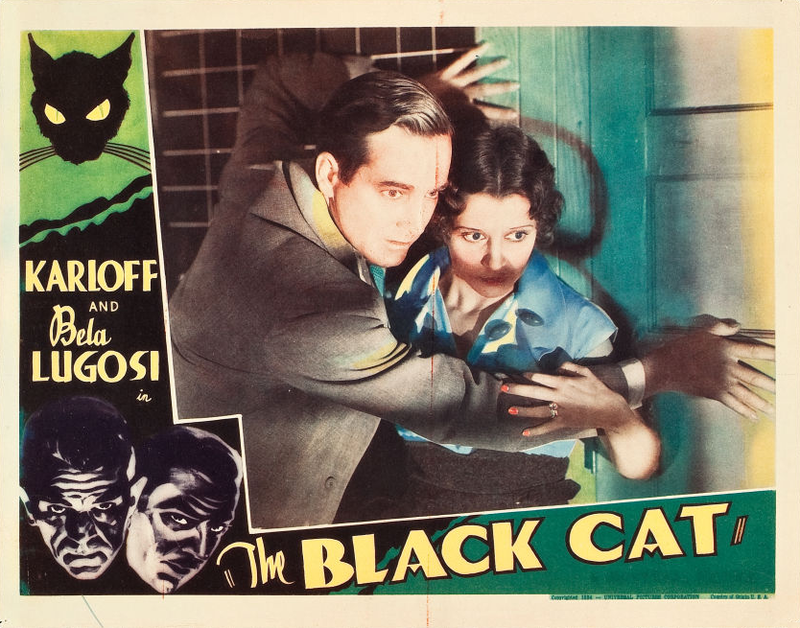 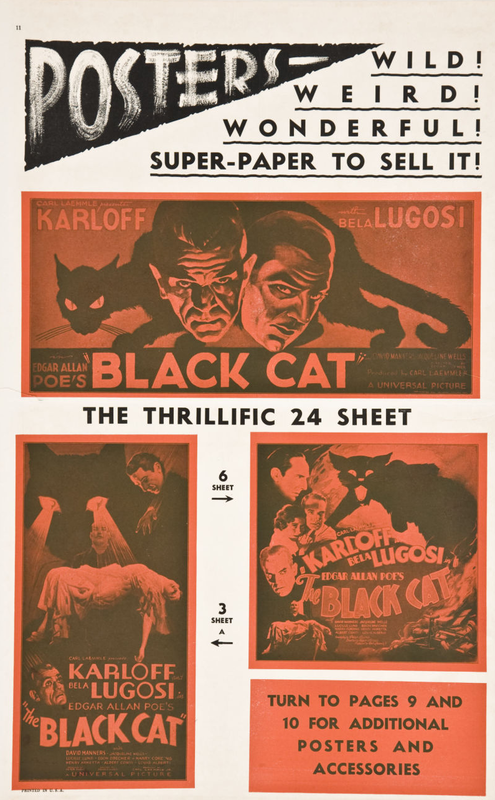 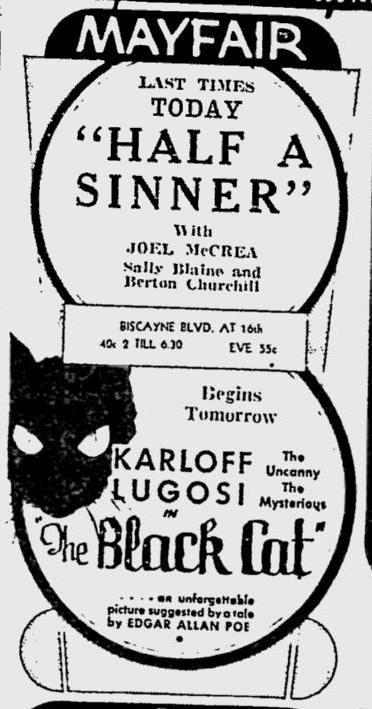 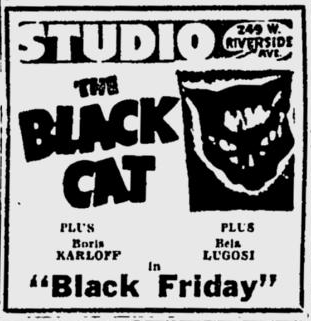 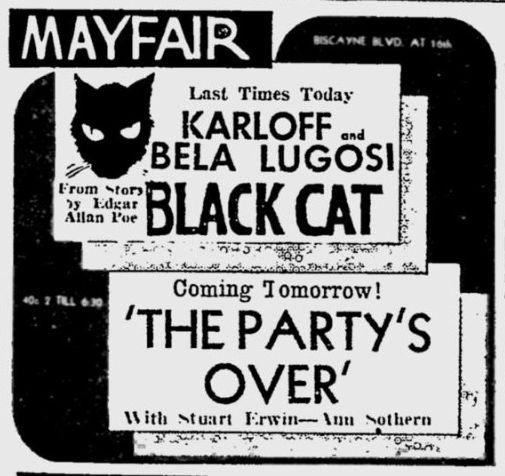 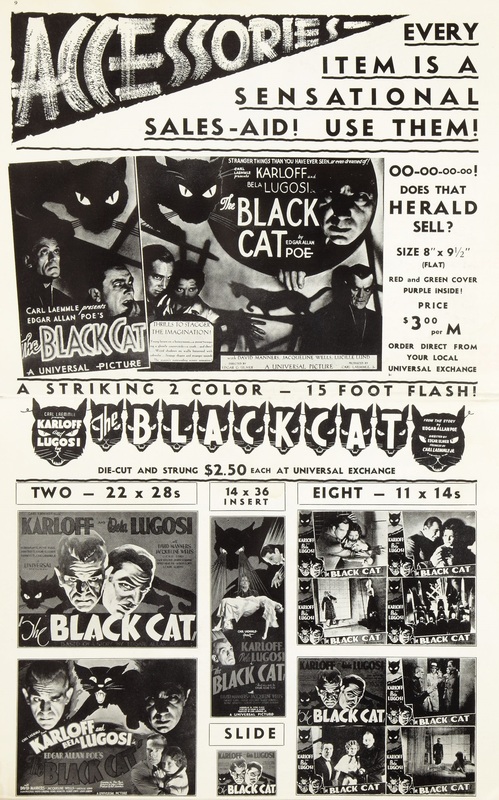 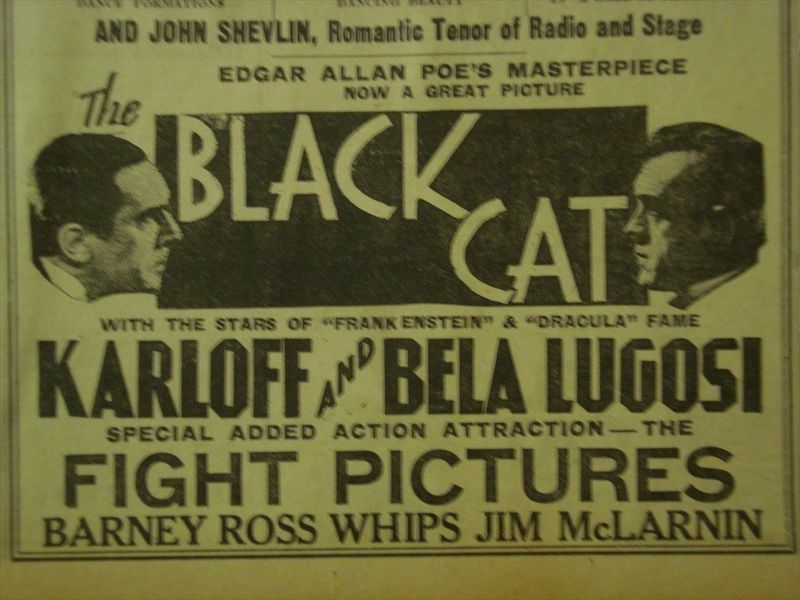 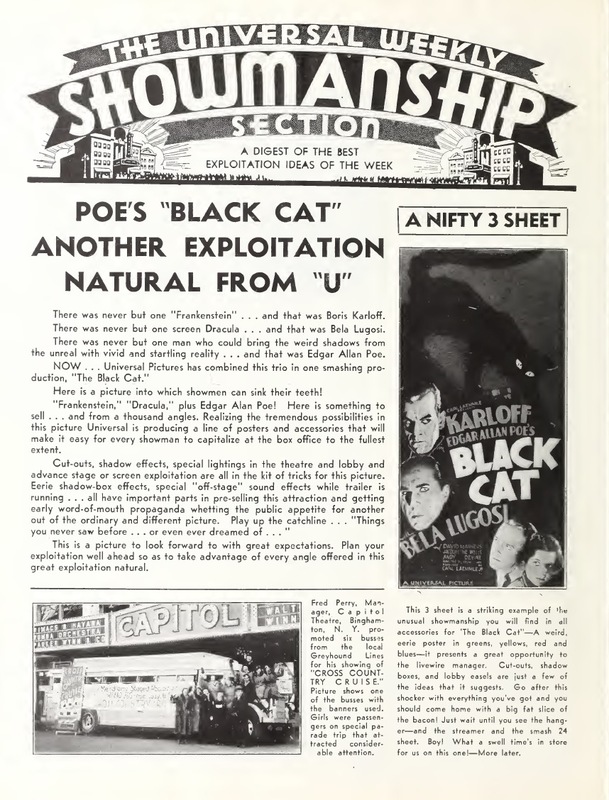 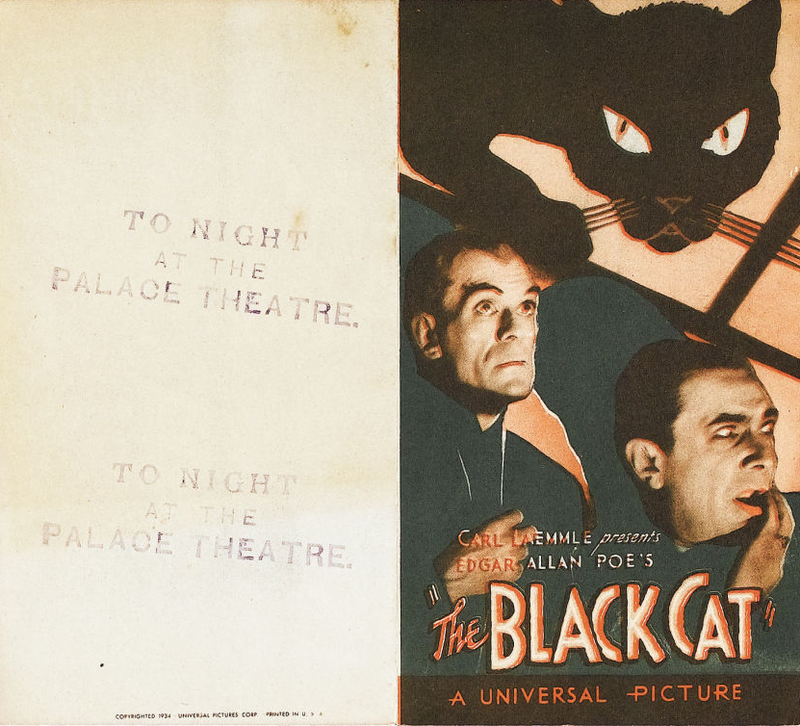 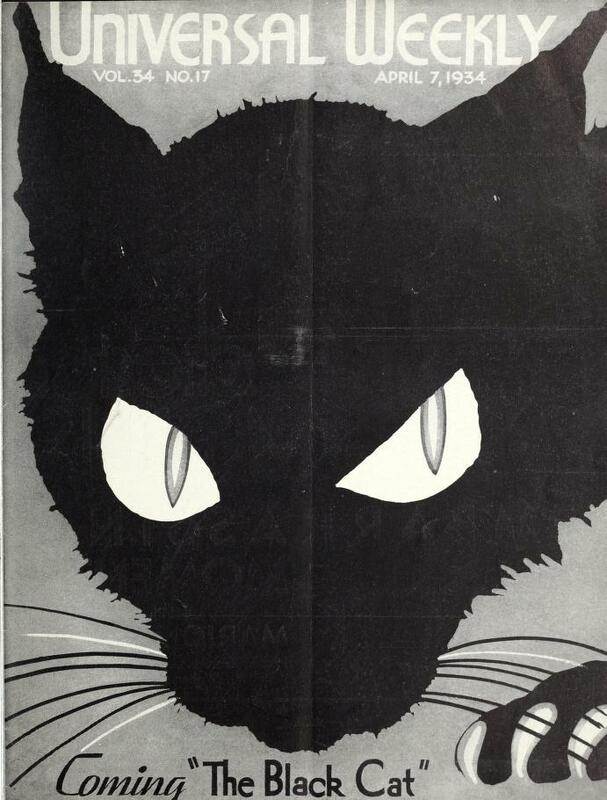 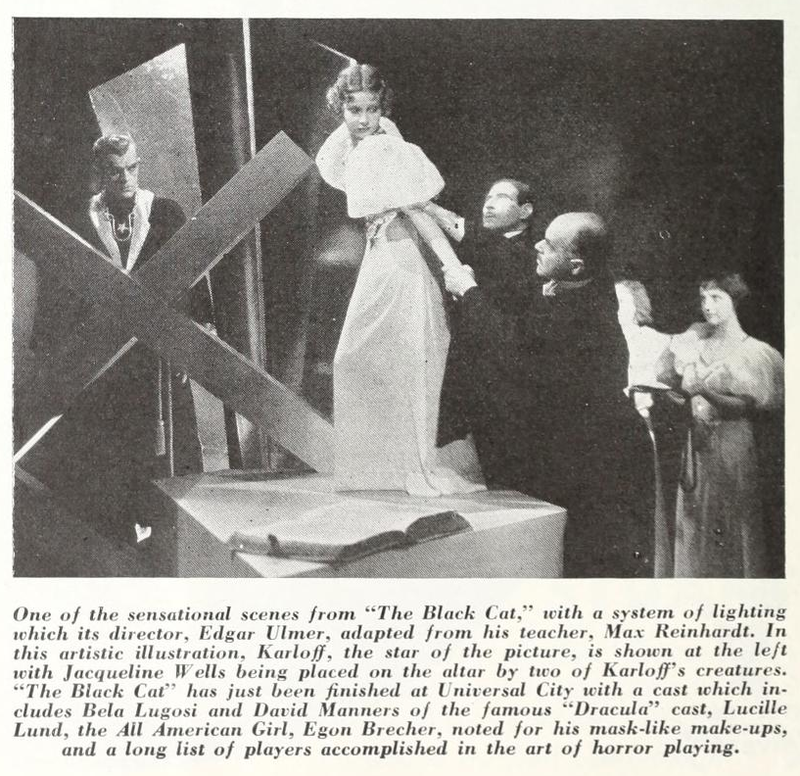 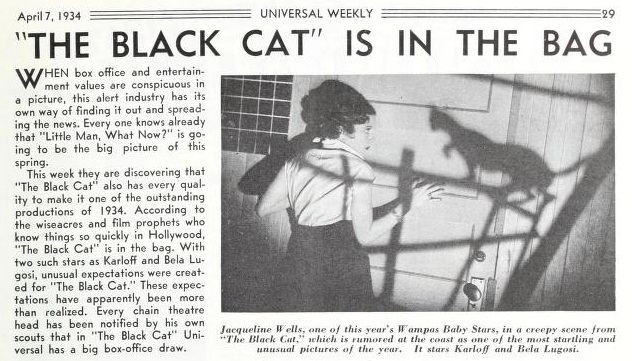 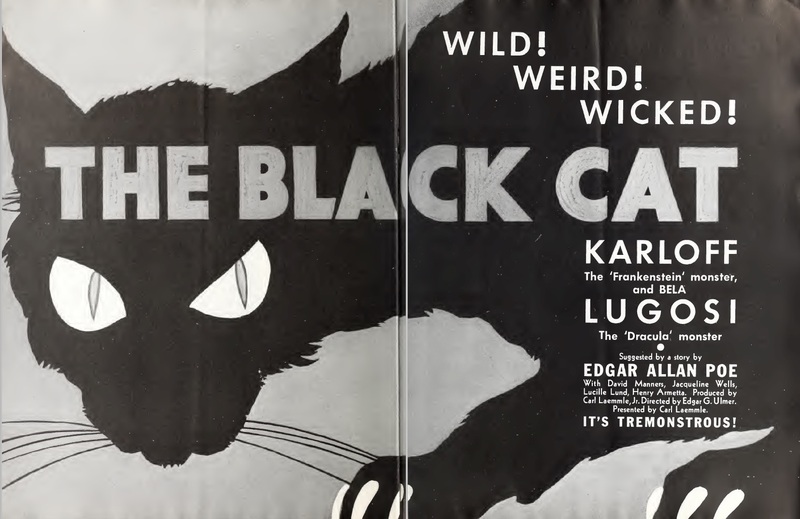 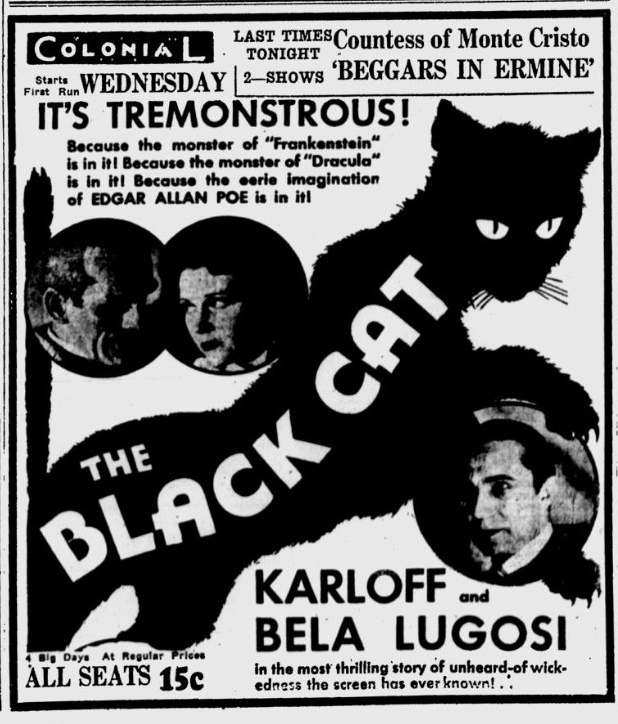 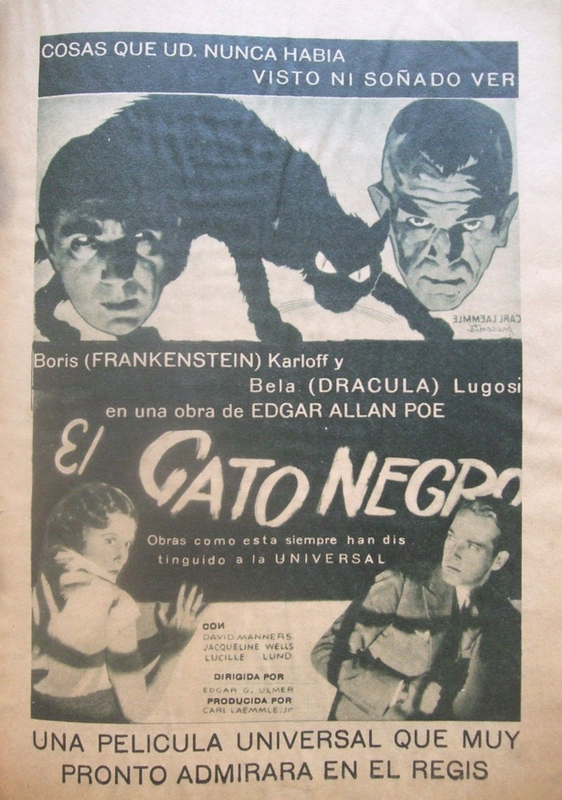 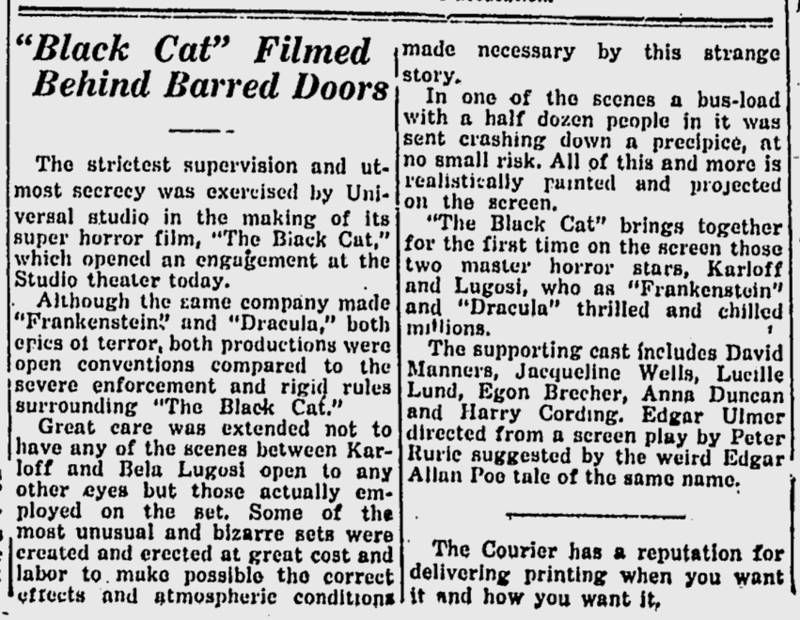 The Black Cat was Universal’s biggest box office hit of 1934. 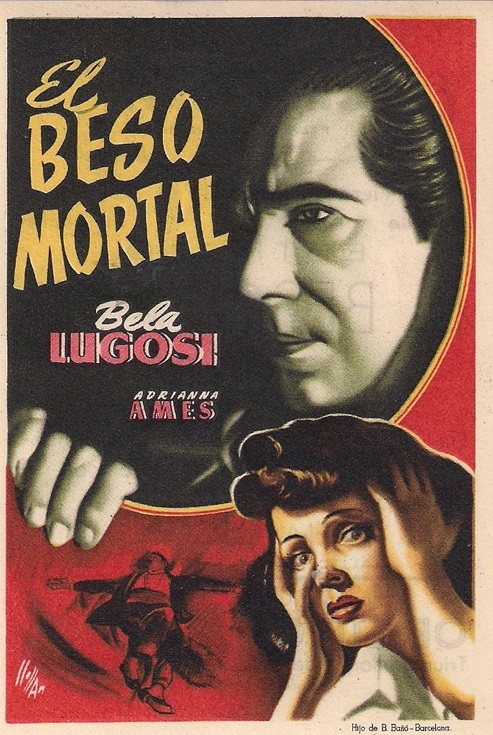 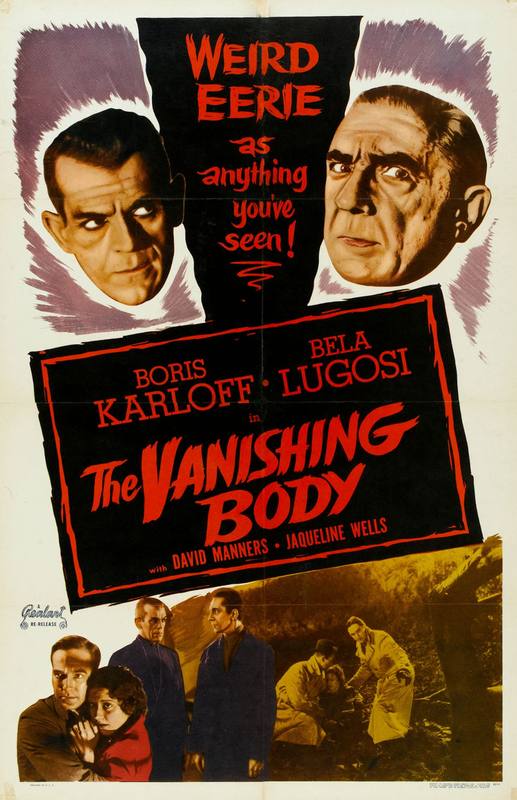 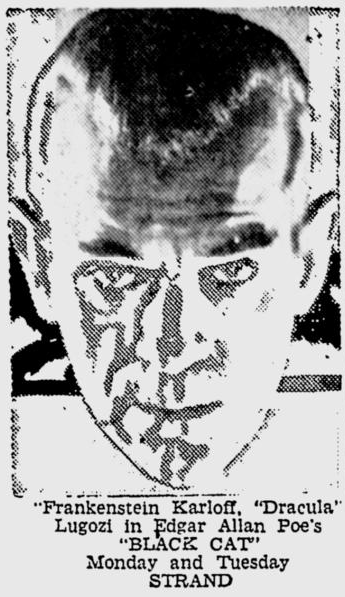 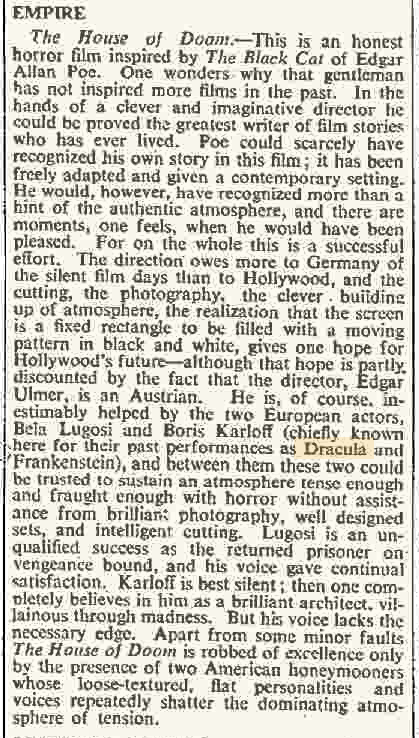 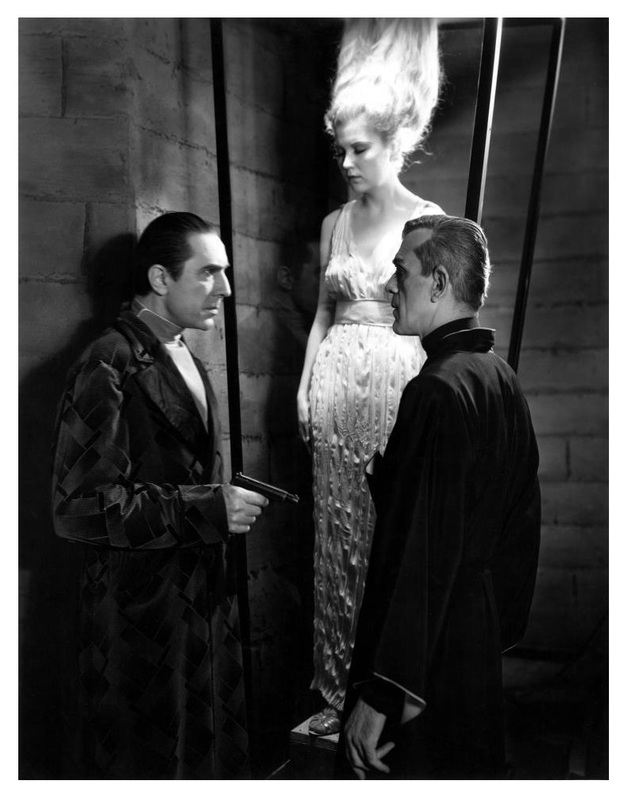 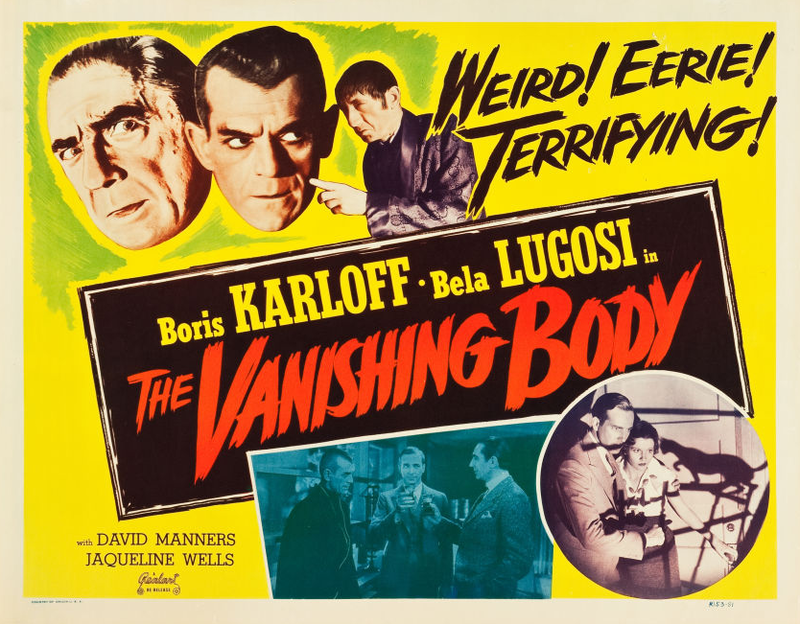 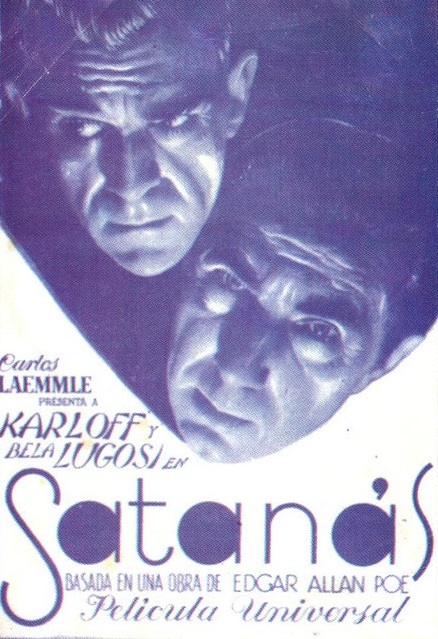 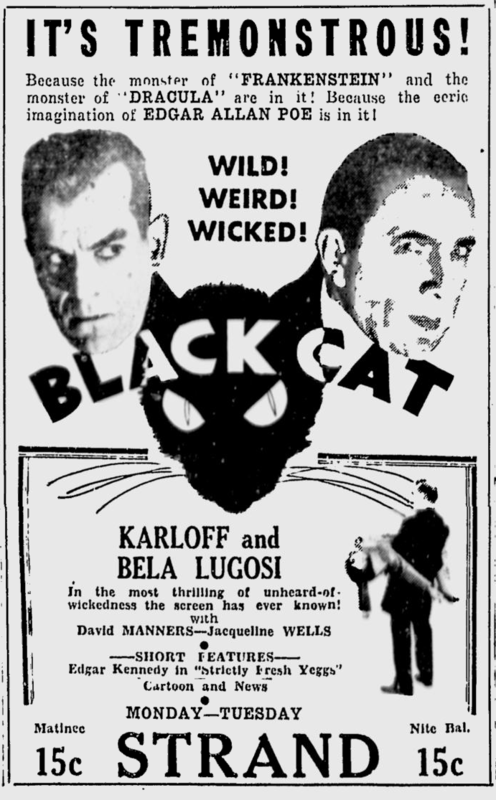 Lugosi appeared in an inferior unrelated film of the same name in 1941. 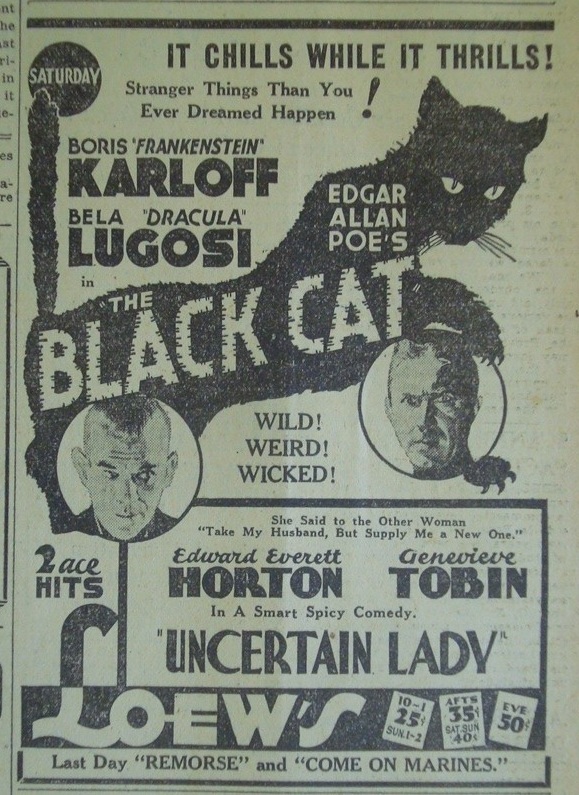 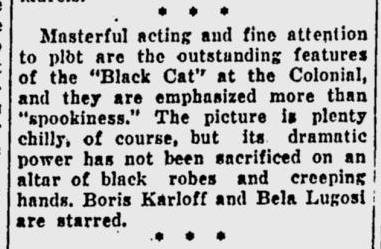 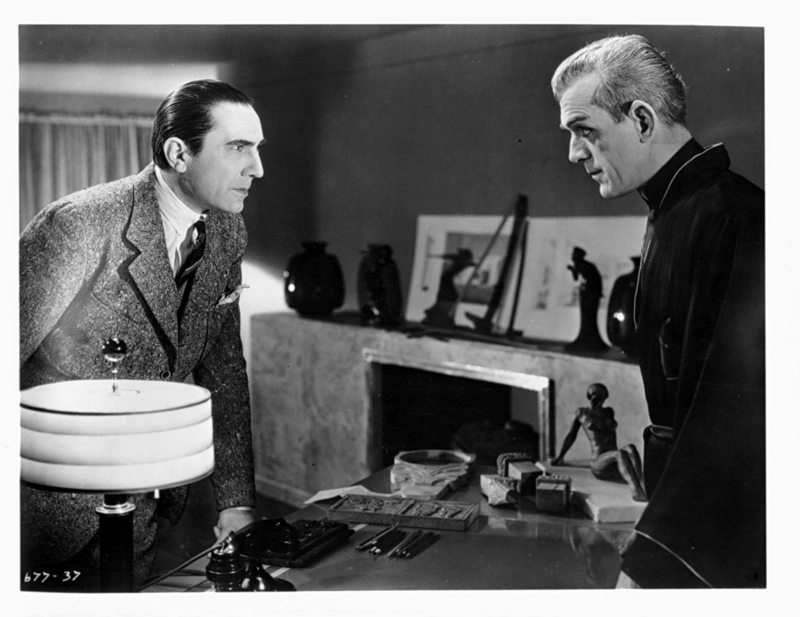 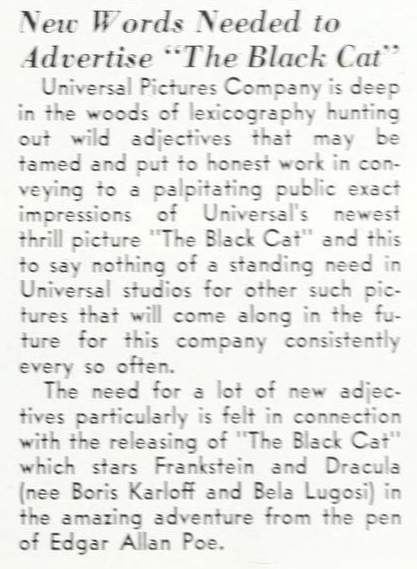 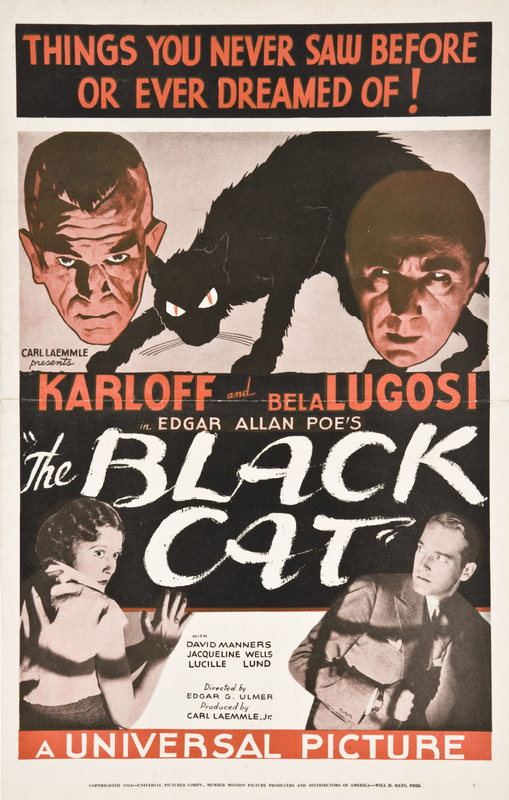 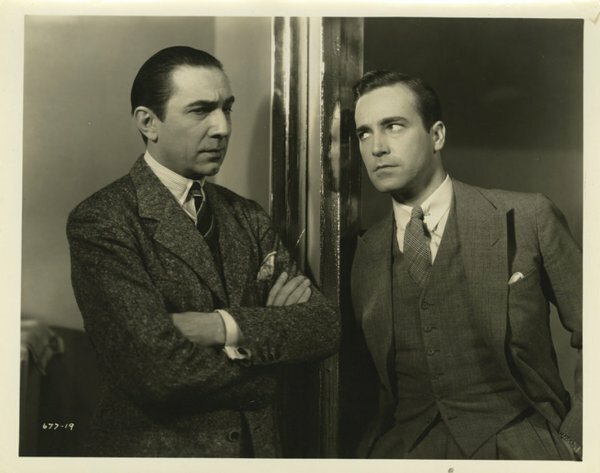 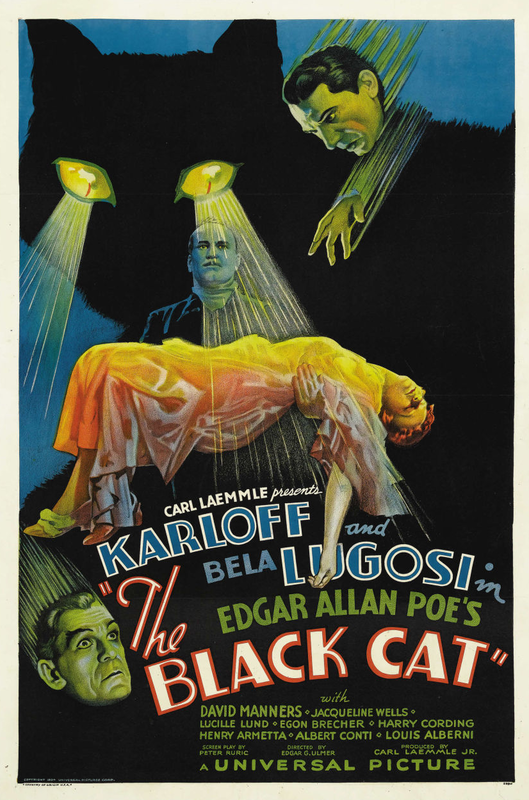 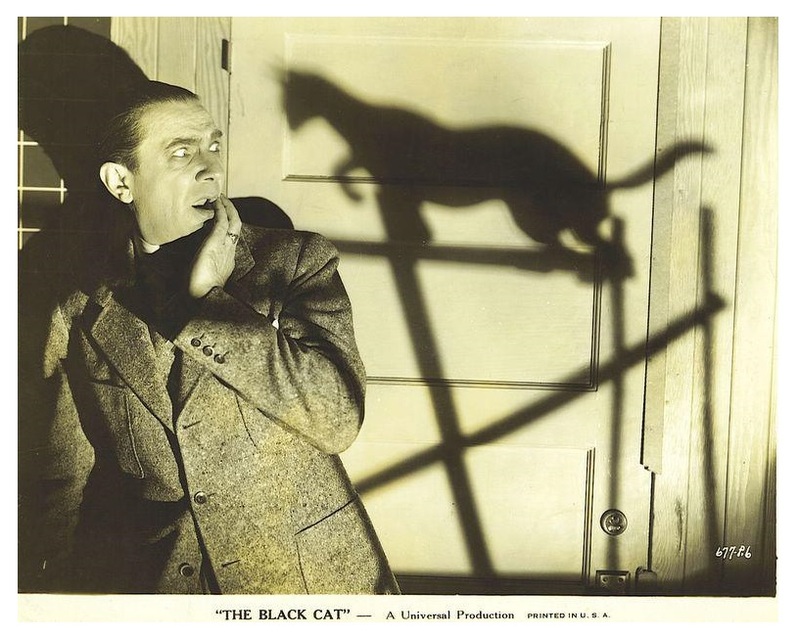 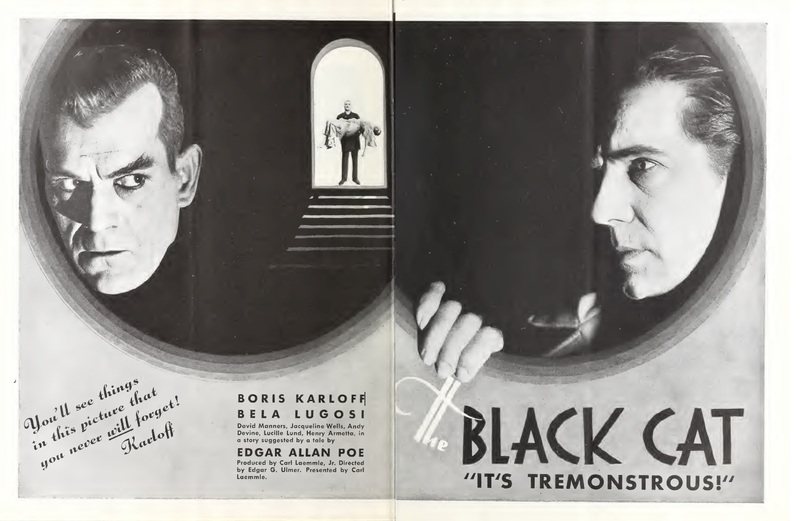 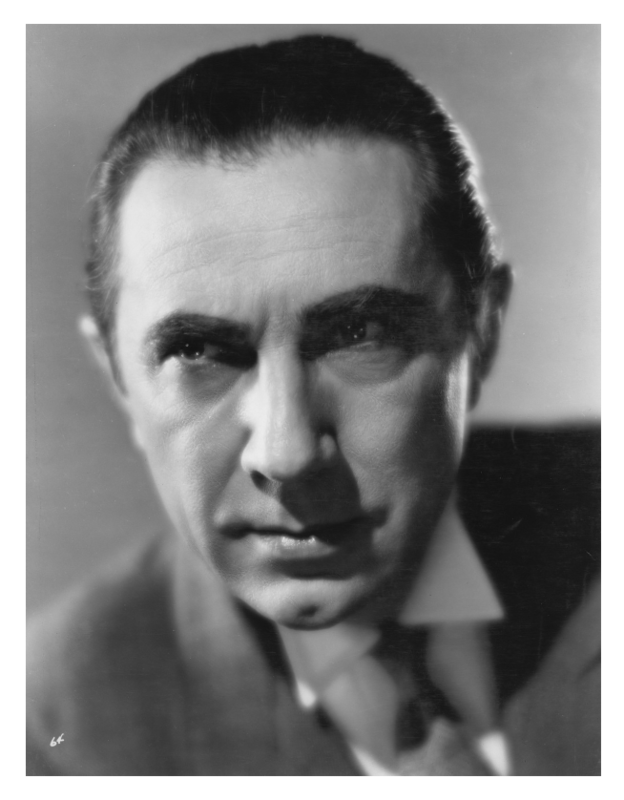 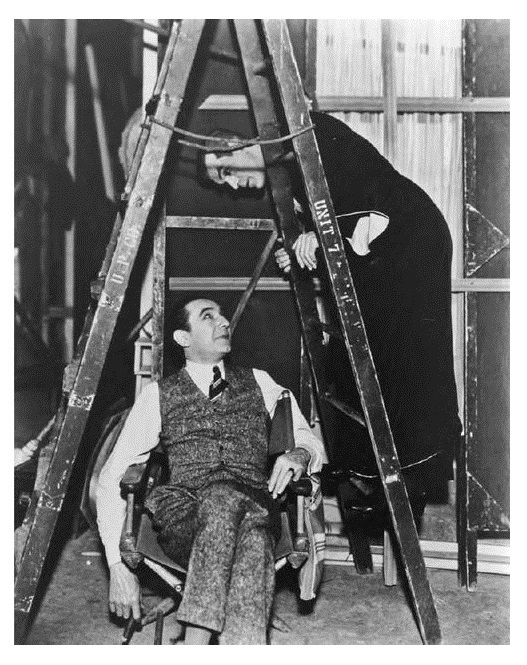 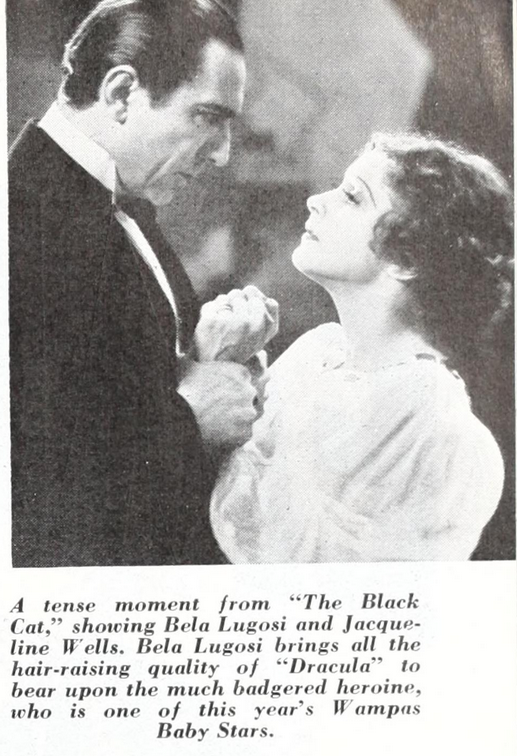 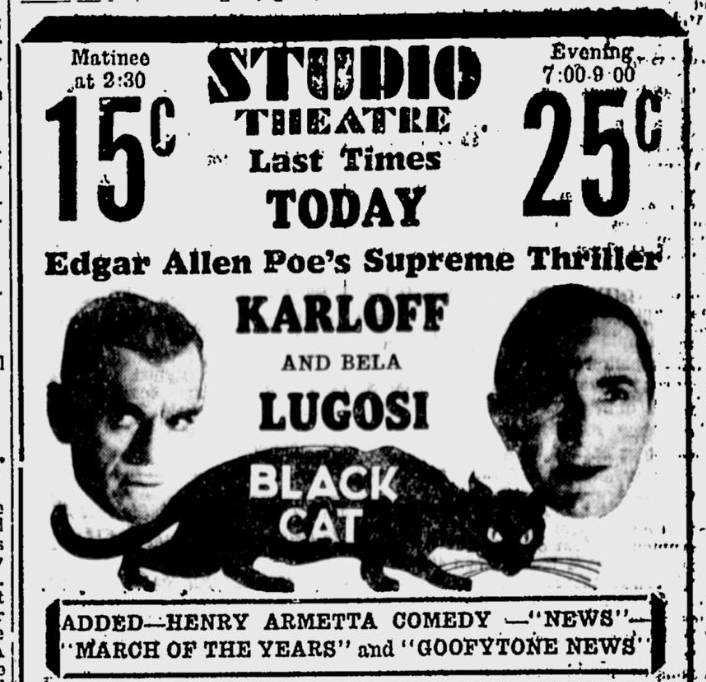 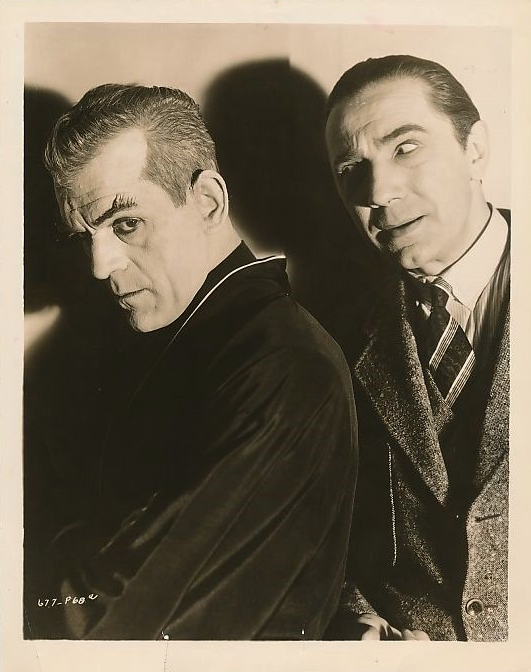 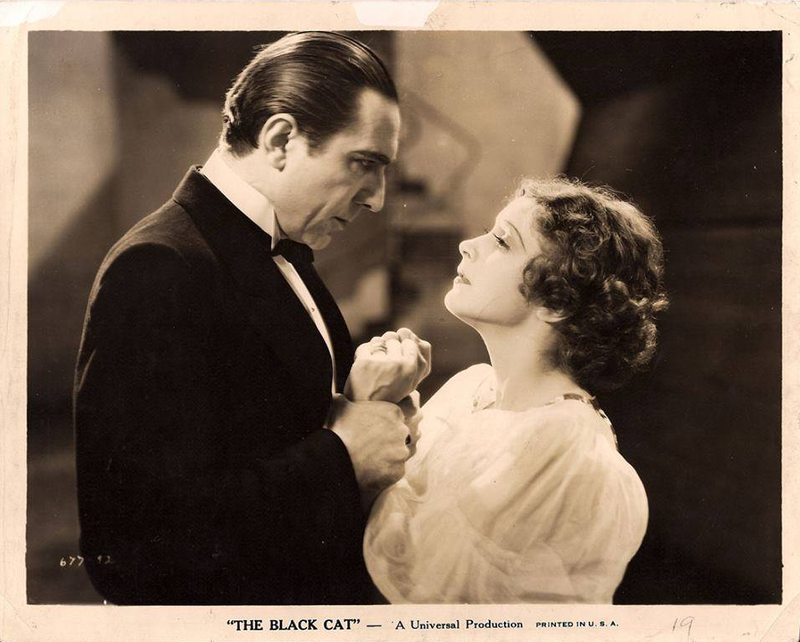 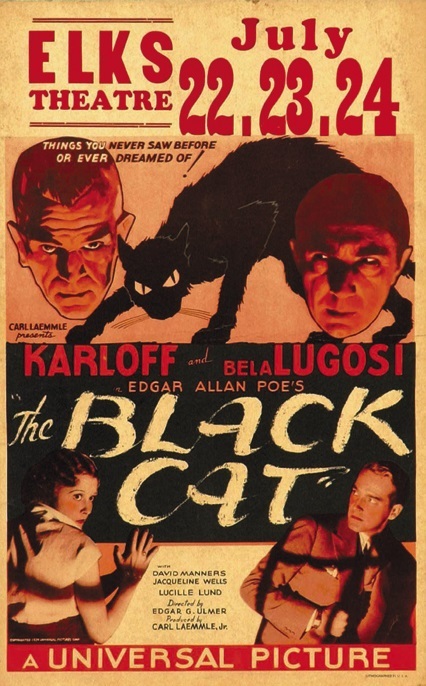 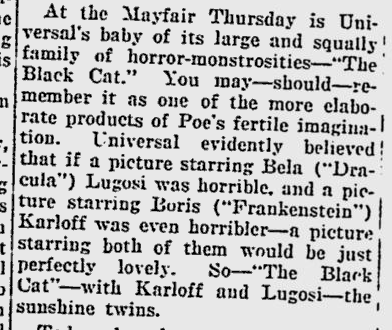 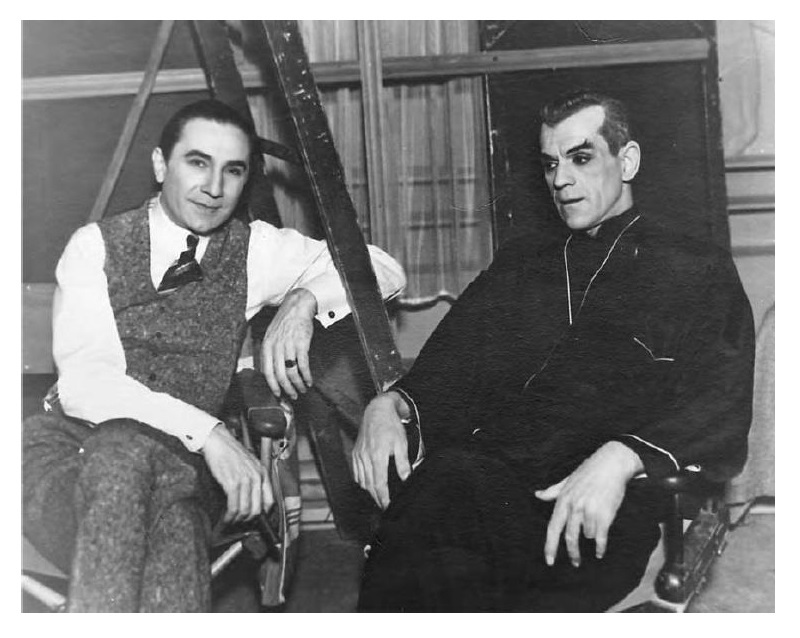 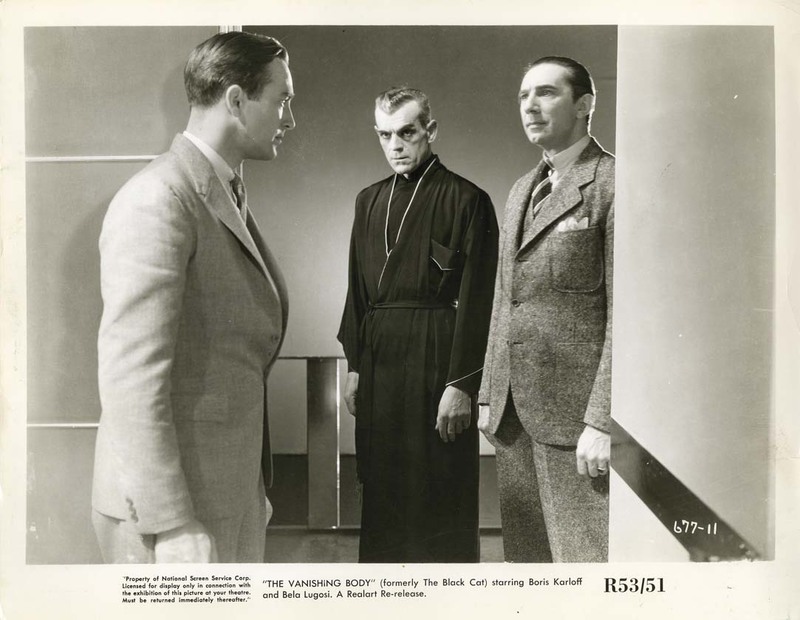 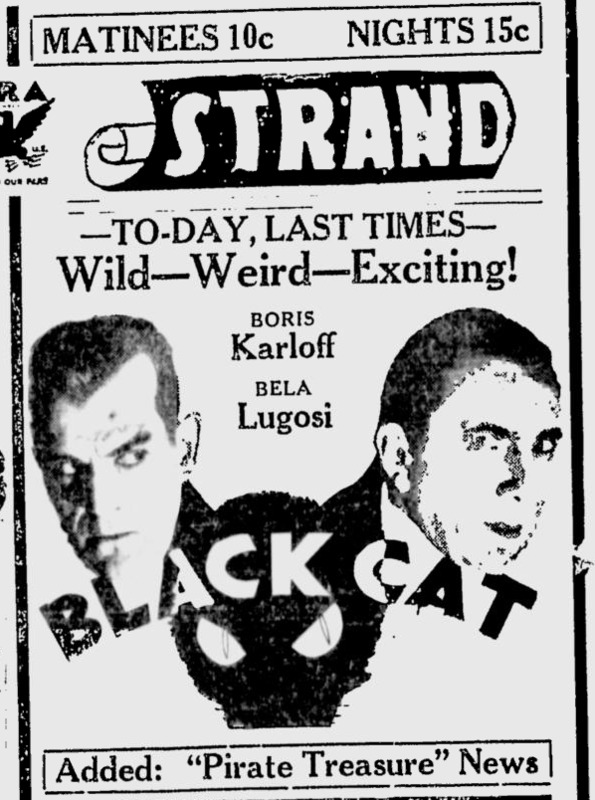 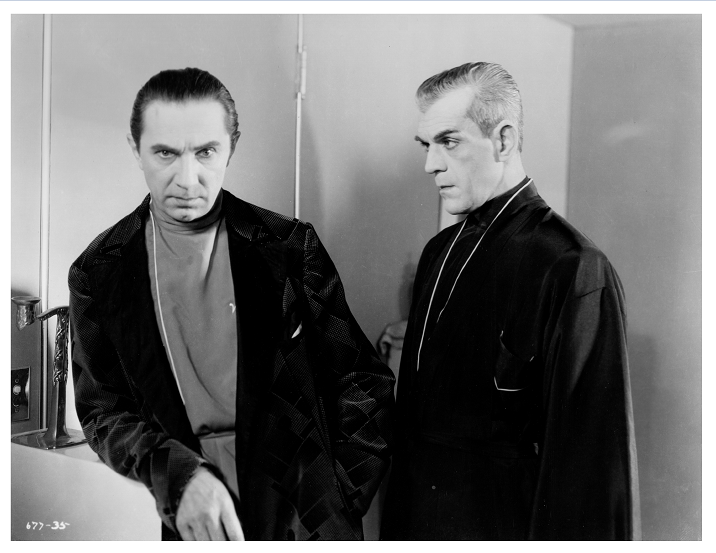 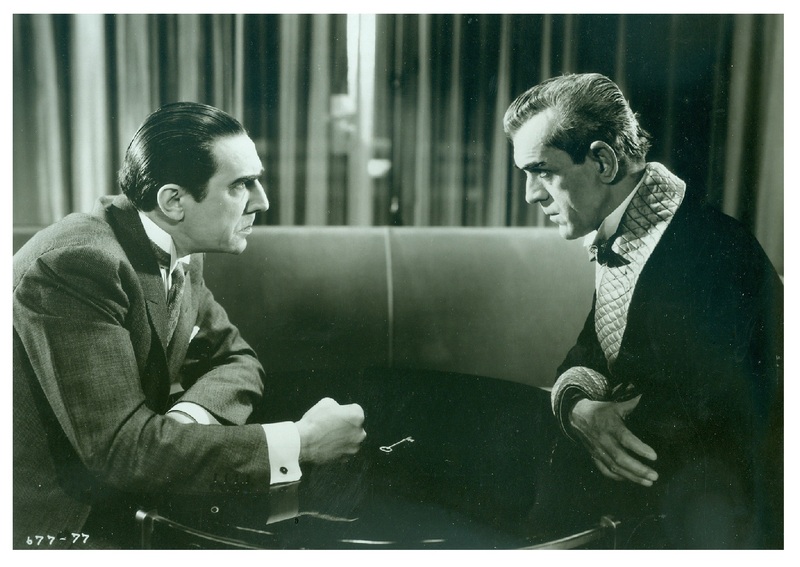 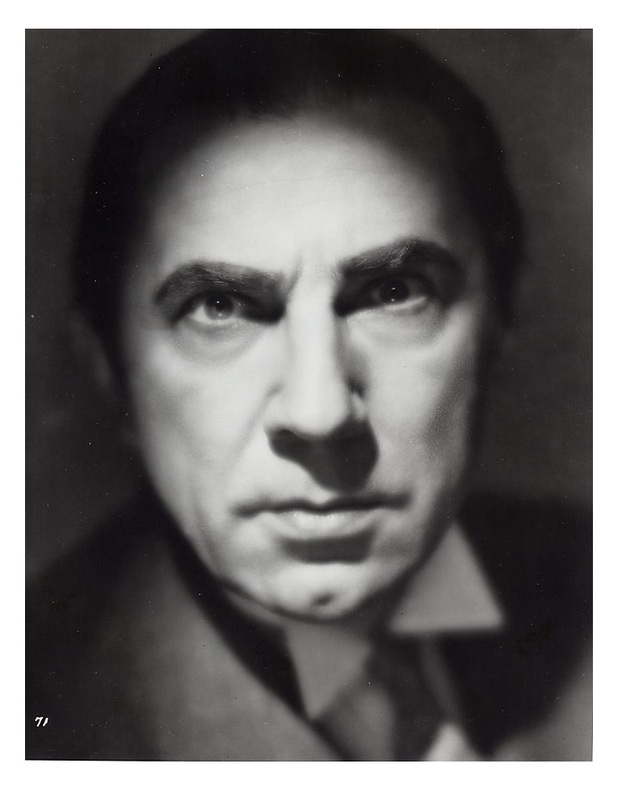 Bela Lugosi yesterday decided to give up his personal appearances in the east and accept Universal’s offer for a featured spot in “The Black Cat,” which Edgar Ulmer directs with Boris Karloff in the lead. 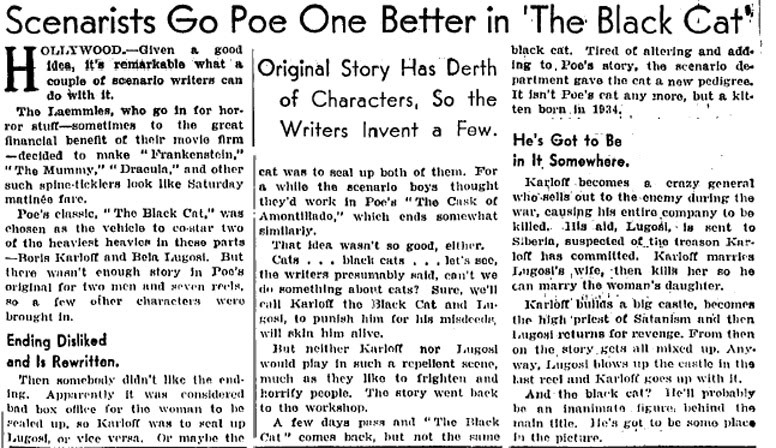 Peter Ruric is scripting the Edgar Allan Poe story. 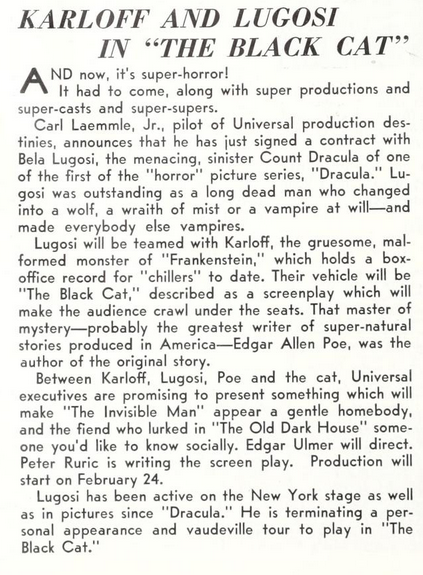 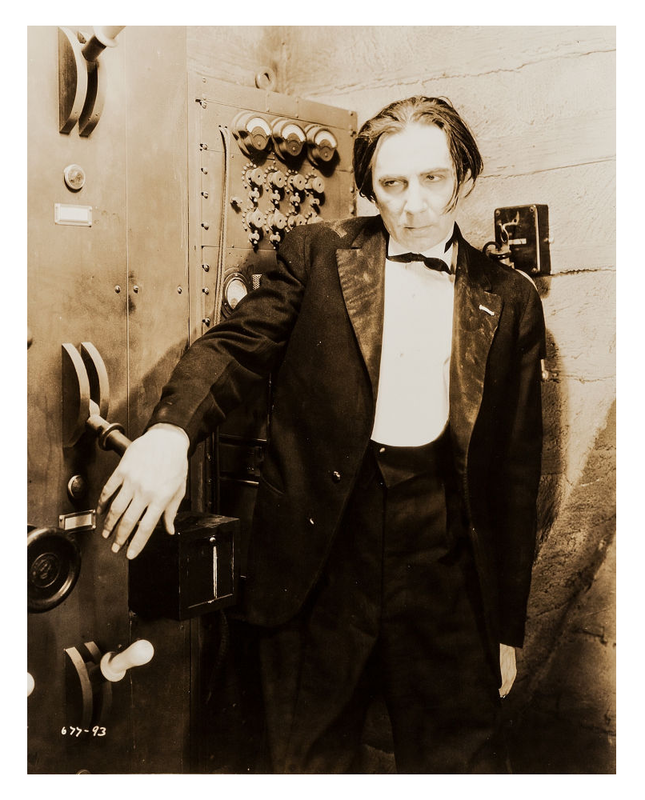 Lugosi arrives out here February 21. 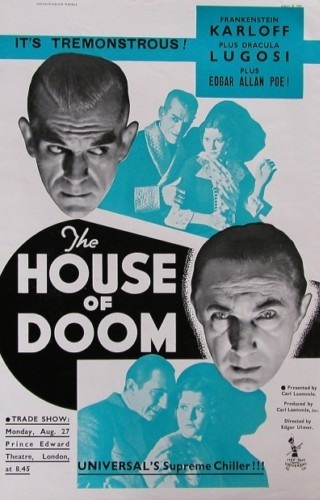 Al Kingston set the deal. 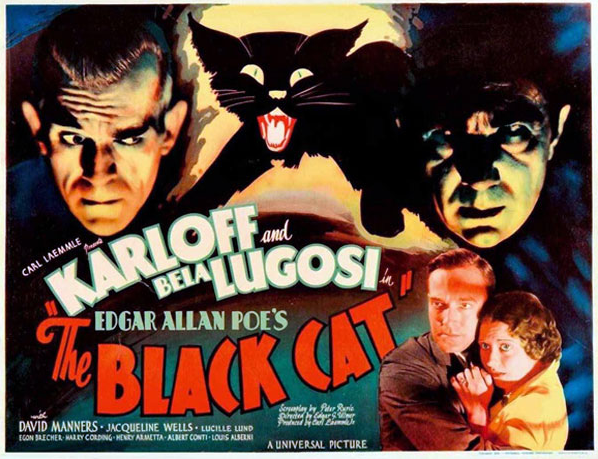 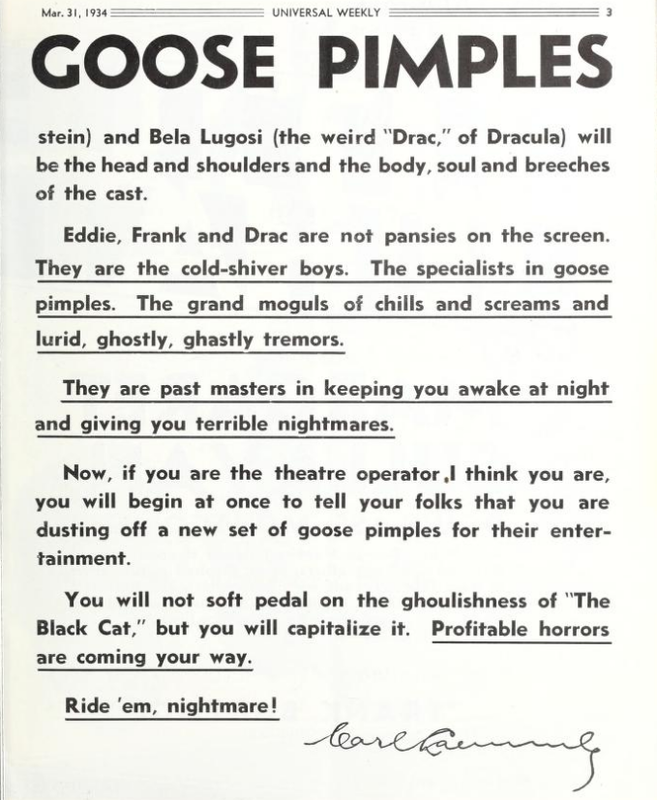 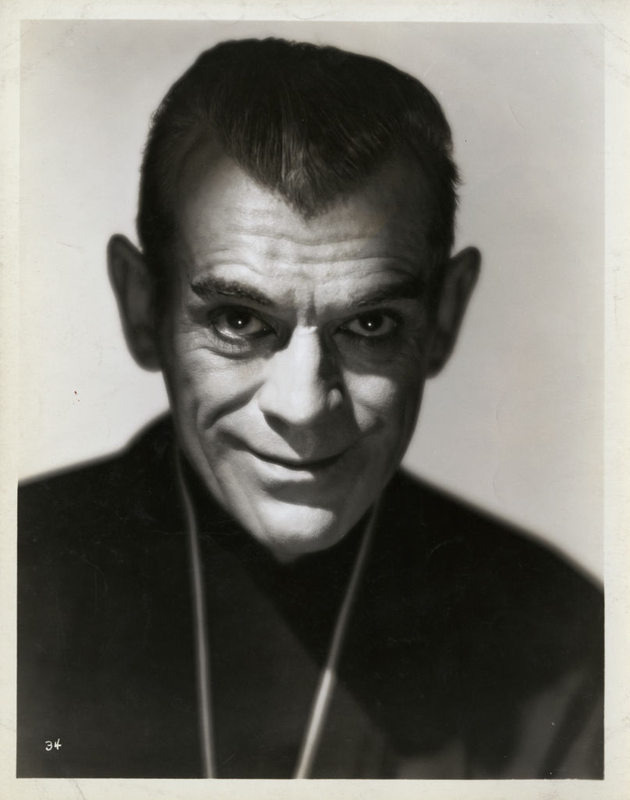 Erin O’brien-Moore was tested by Universal for one of the leading roles in “Black Cat,” the Edgar Allan Poe story, which will feature Boris Karloff and Bela Lugosi for Universal. 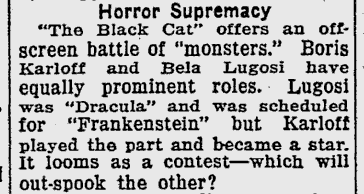 Edgar Ulmer will direct.